Read the full report here…..
Llewellyn Insurance Services is a family owned and operated independent insurance agency that provides comprehensive personal and commercial lines insurance. The format for this event was wide open. The 20 anglers who braved the wind could fish using any legal method available for hook and line fishing. 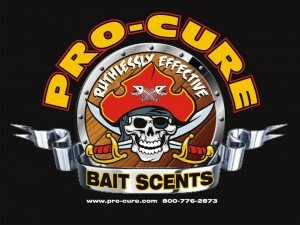 Artificials, live bait, dead bait, 1 rod or 15 rods. Dead stick, troll or cast. As long as it was legal, they could do it. We were met at the launch with 20+ mph winds out of the west, gray skies and some intermittent rain sprinkles. The weather was not at all what the weatherman had predicted just 2 days earlier. We’d planned a mass launch from that beach but a game day decision was made to let the anglers launch anywhere in the park. Most took off to launch from the lee side of the road but a half dozen hardy guys braved the wind and paddled out from the beach. It wasn’t long before a wind shift to the north and speed increase came which put everyone in the wind. 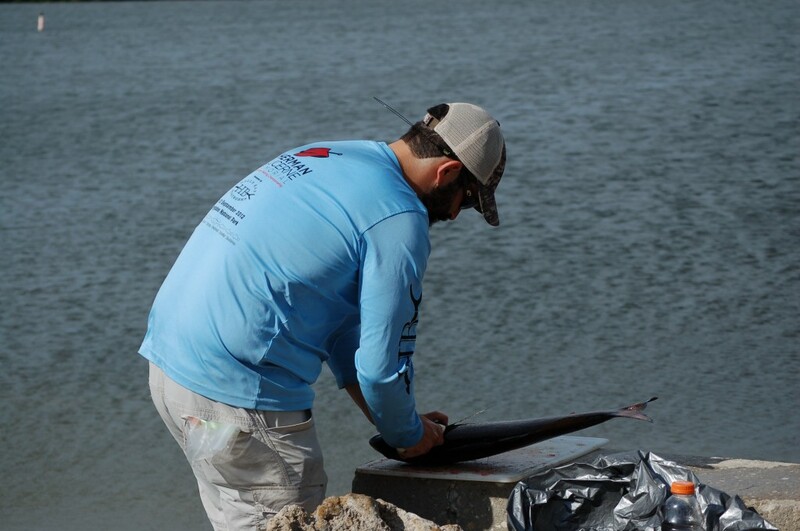 Fort Desoto is a great place to fish but there isn’t much protection from a north wind. 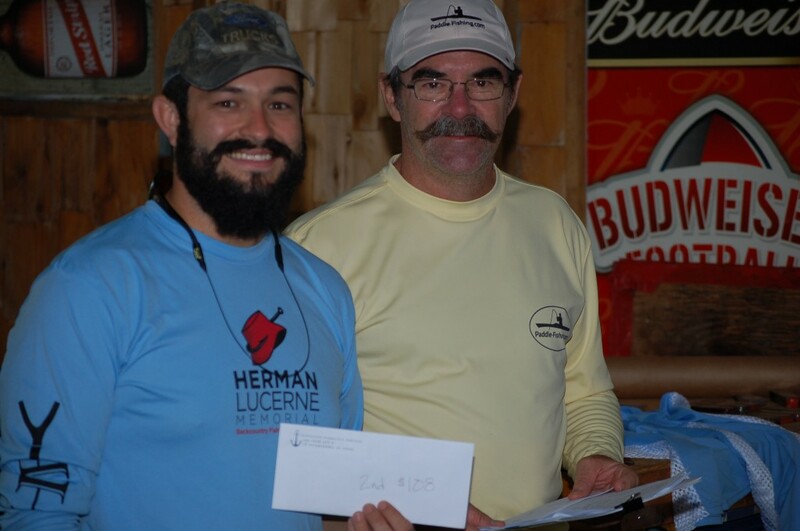 The points format was the inches for your three largest fish (maximum of 2 fish for any one species) plus 10 points if the angler got an insurance quote from Llewellyn Insurance Services before the event plus 10 points if the angler sent a picture via text of himself with a fish caught during the event. 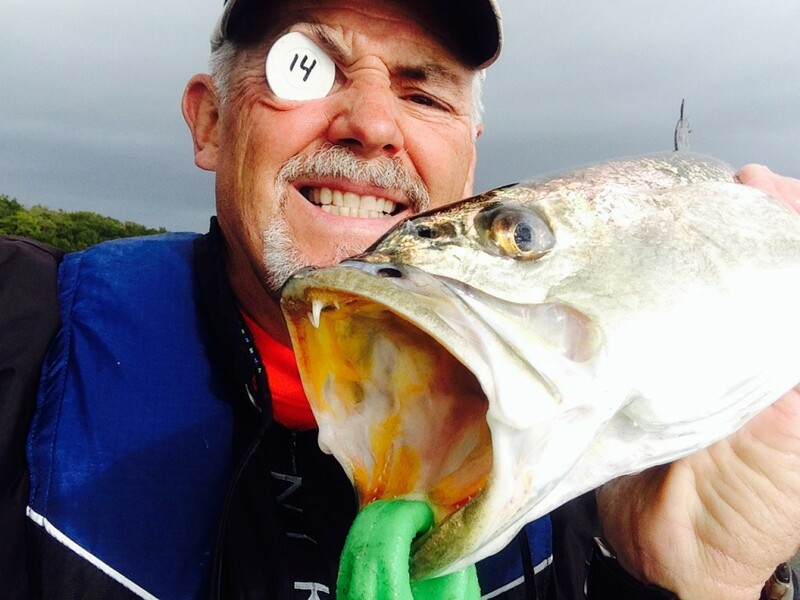 The token had to be in the picture and one angler, Steve Manning, came up with an ingenious way to hold the token. Here’s a few other pictures sent in during the day. 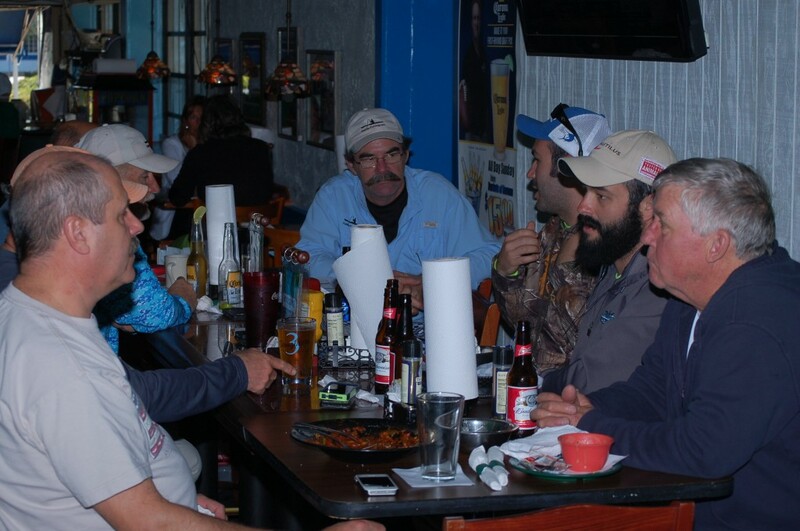 We all met back at Boardwalk Pasta and Seafood to tell stories about tough fishing conditions and to congratulate the winners. 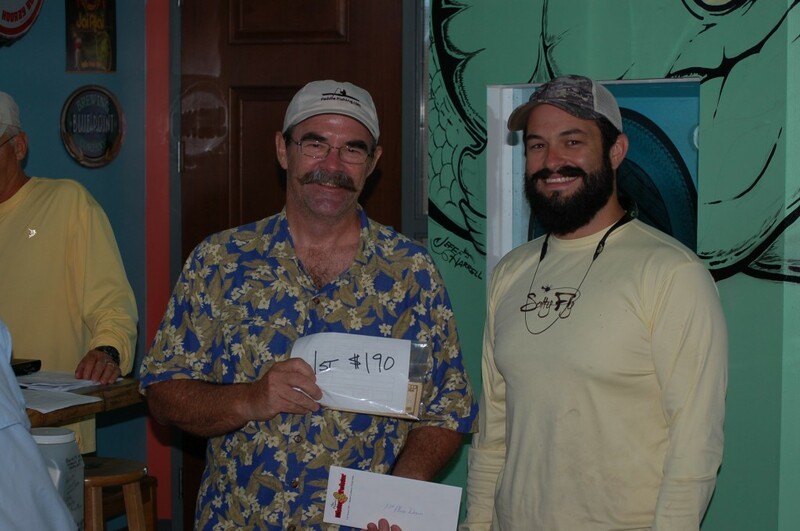 1st Place went to Steve “Manning” Manning. 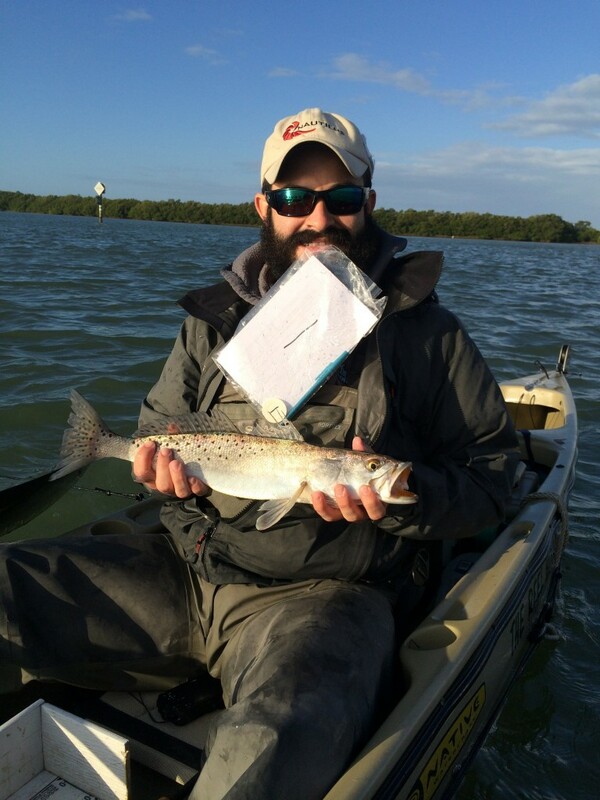 Steve’s 22.5 inch trout, 21 inch ladyfish, 19 inch jack plus texting a pic during the event added up to 72.5 points and earned him $100. 2nd Place went to Chris “ChrisR” Ravelo. 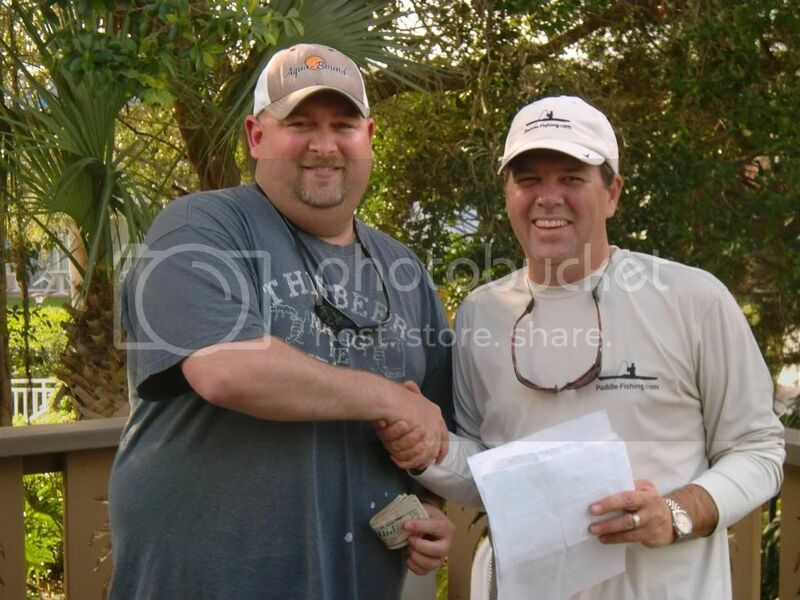 His 20 and 13 inch trout, 22 inch redfish plus texting a pic during the event added up to 65 points and earned him $60. 3rd Place went to John “Ump608” Chapman. 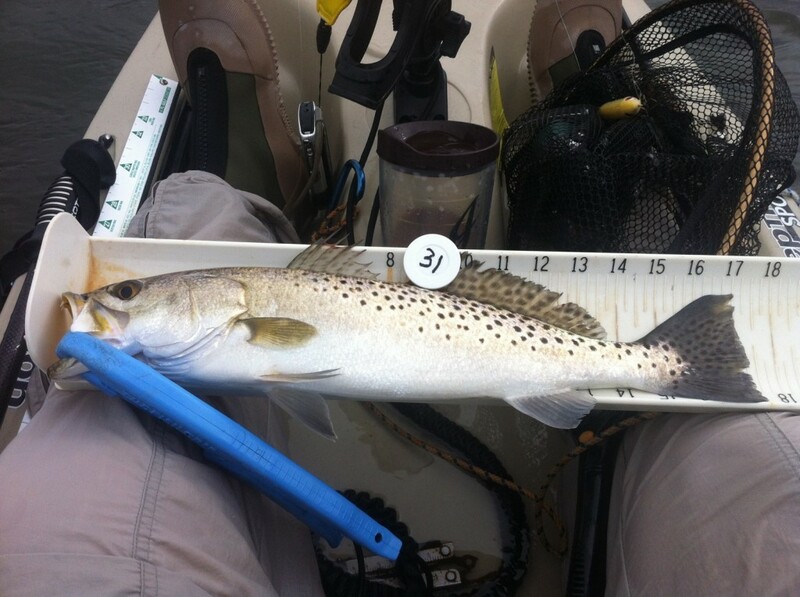 John’s 18 inch and 14 inch trout plus texting a pic during the event added up to 42 points and earned him $40. Llewellyn Insurance Services provided some bonus cash. Derek “dbaker2332” Baker won $50 of that cash with a 19 inch jack. Series sponsor Breathe Like a Fish provided a couple shirts for the event. Arik “Arik81” Smith was a winner of one shirt. 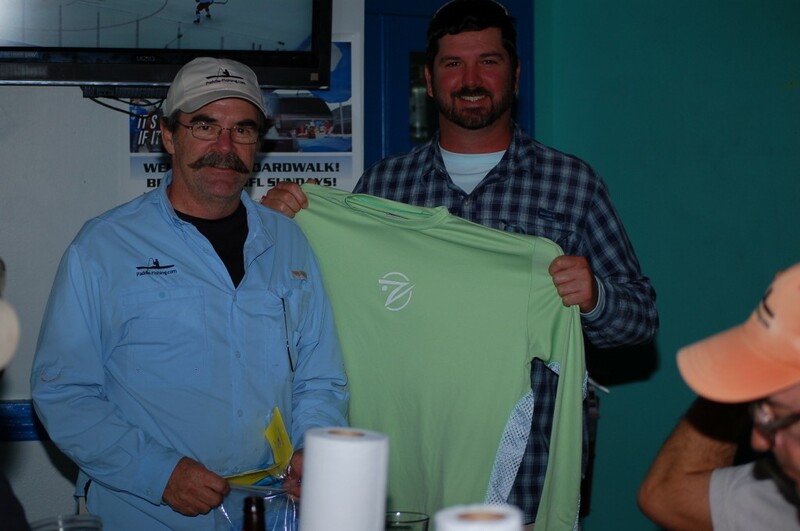 Bobby “Freshly Salted” Stanley won the second Breathe Like a Fish shirt. 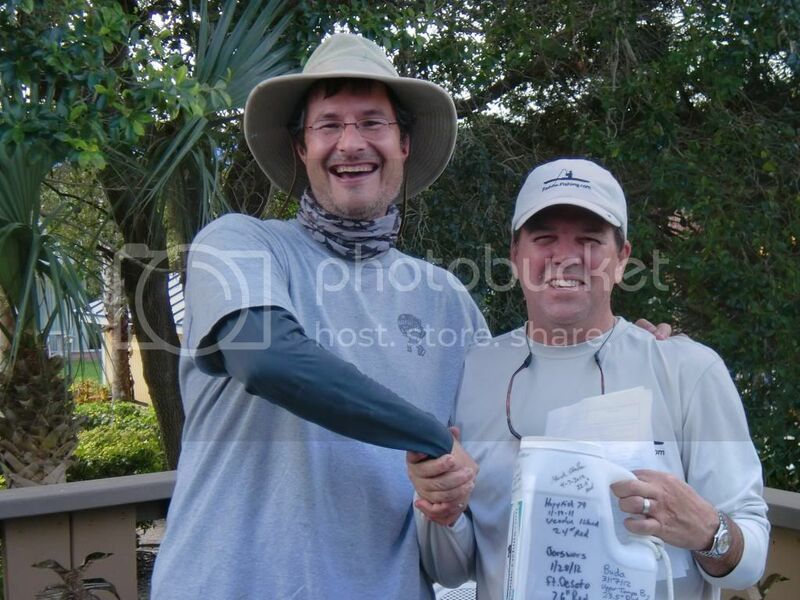 Series sponsor Tailin Toads provided two pairs of their phenomenal fingerless fishing gloves. The first pair was won by John “JKL” Lee. The second pair was won by Freshly Salted Jr. Keep an eye on the Jr., Dad may try and sneak away with them! It was a tough fishing day for all. Despite the weather, almost all that signed up actually showed up. There were a lot of tired smiles at the Pic n’ Sip and probably more than a few sore shoulders that evening. Our next event is not yet scheduled but will probably be the last week of March of first week of April. Keep an eye out for the event announcement. This next one will be for a very special cause! 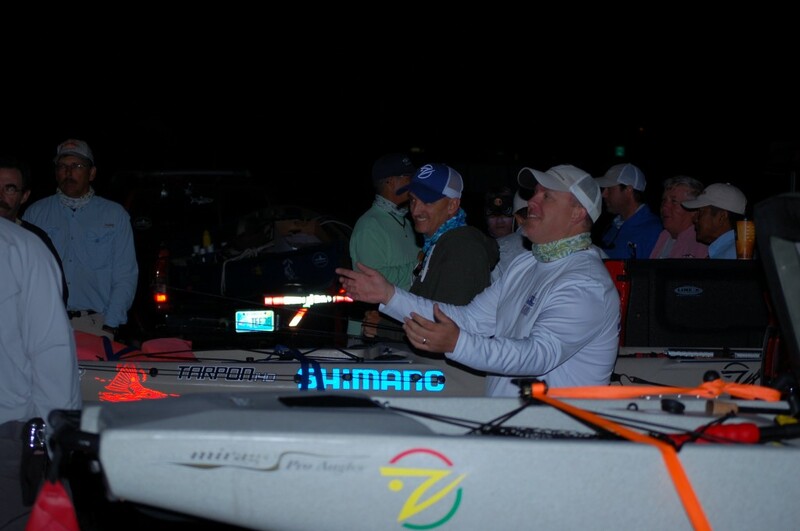 Thanks to all the sponsors and anglers! Looking forward to seeing everyone in February. All photos courtesy of Bill “Heywood” Howard. 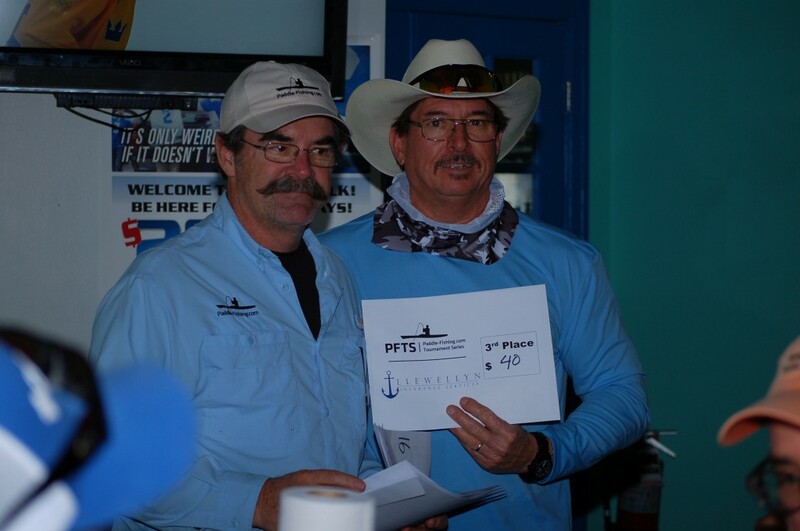 PFTS #3 was held on Saturday, December 14, 2013 in the Palma Sola area of Bradenton, FL. 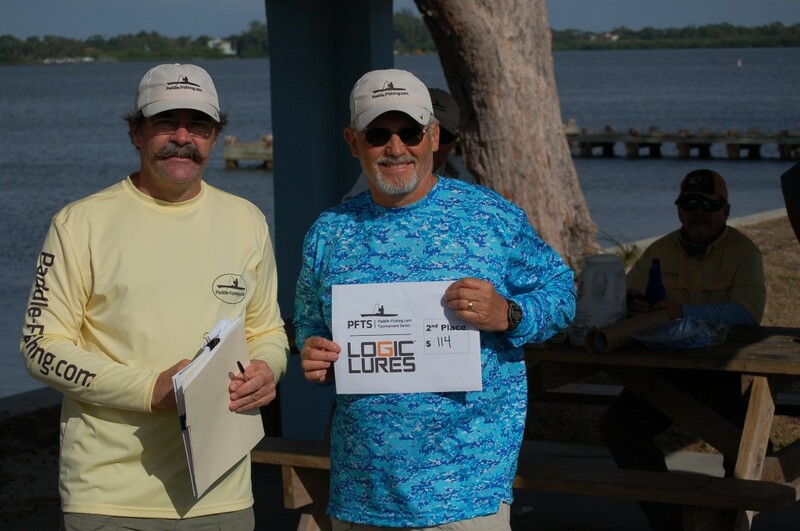 Our lure sponsor for this event was Logic Lures who provided each of the 38 anglers with a lure package that included two Wiggly Jiggly jig heads, a Scented Tandem Rig in black gold color and a bag of Plastix in rootbeer color. The day started out windy and only got windier. We were met at the morning sign in with a steady 13 knots coming out of the southeast. This had many scratching their heads trying to figure out where to fish to stay out of the wind while others just grit their teeth and stuck with their original plans. 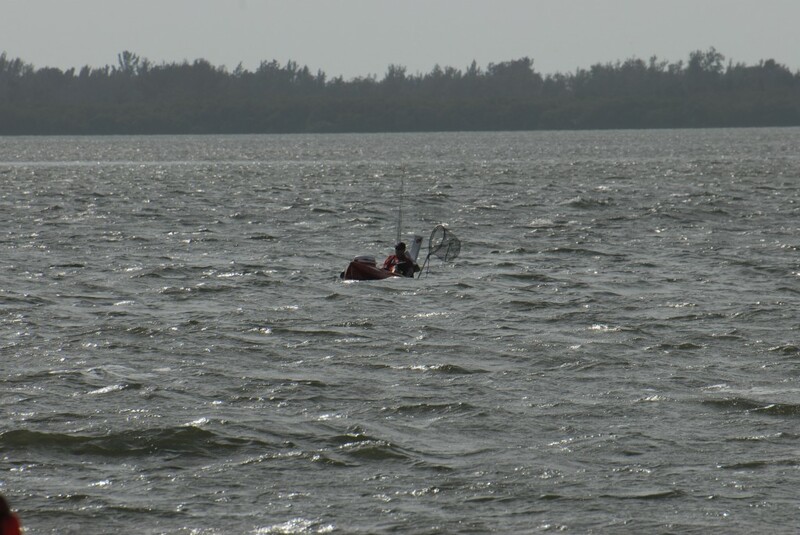 By 1 pm, the winds were easily 20 knots with gusts much higher and whitecaps covered Palma Sola bay. Here are a couple guys headed in. 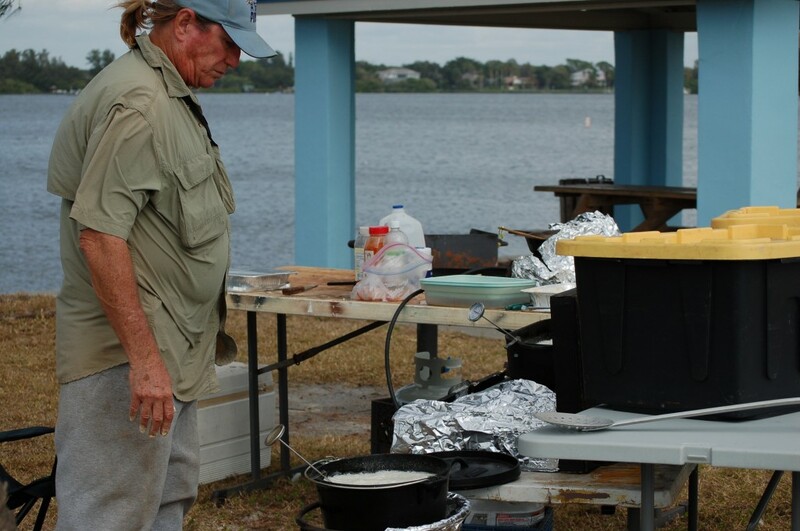 Our plan for this event was to hold the Pic n’ Sip at the Manatee Avenue Causeway park and have a fish fry. Of course, if you want to have a fish fry the anglers would have to catch fish. At this event, neither the anglers nor the lures disappointed us. 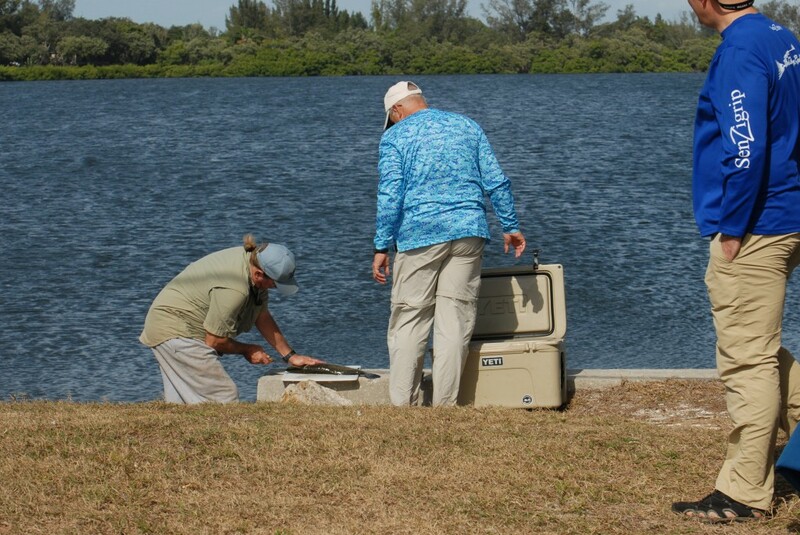 There was a joke about calling this event “The Curse of the Cooler” as we’ve all experienced the days when you can’t catch a fish seemingly because you brought your fish cooler along to take one home for dinner. Well, that curse was broken! Now is a good time for a side story. To dispel the notion that you can’t teach an old dog new tricks we have proof that is not true. Steve Manning showed up with several fish. After hemming and hawing a bit, he finally admitted that he never takes home fish and has no idea how to filet a large speckled trout. Hearing this, MarkR stepped up with a sharp filet knife and gave him a lesson. After watching MarkR filet one and taking good notes, Steve took over and managed to cut some nice filets without shedding any of his own blood. Good job to both Steve and Mark! 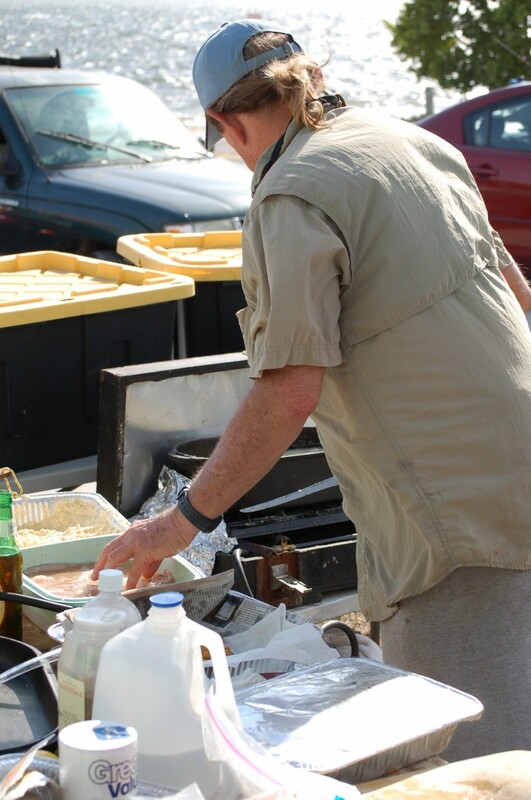 The real star of the show was Mark “MarkR” Robichaux with his cooking skills. 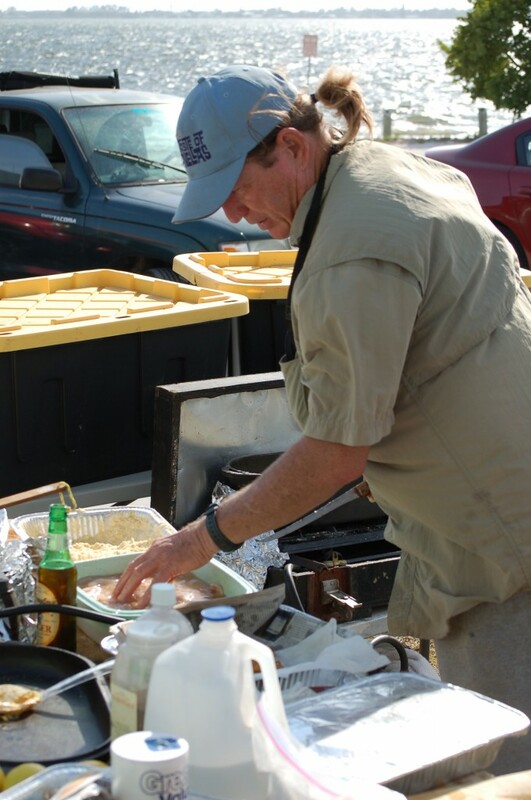 He showed up early in the morning with his truck full of equipment to make the Pic N’ Sip one heck of a fish fry. 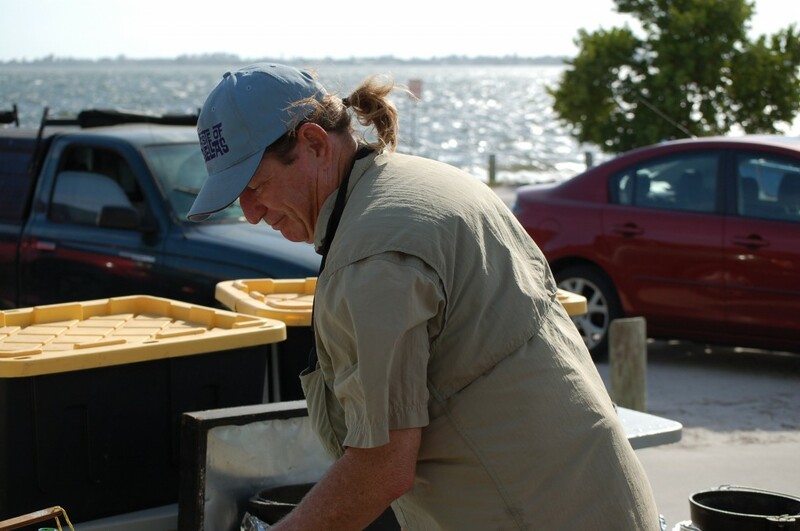 Pots, pans, burners, tables, peanut oil and his very own soon to be world famous hush puppy mix. While the guys were busy telling fish stories, Mark was busy cooking. By the end of the day, everyone went home very well fed and happy thanks to productive lures from Logic Lures, PFTS anglers’ skills and Mark’s fabulous cooking. 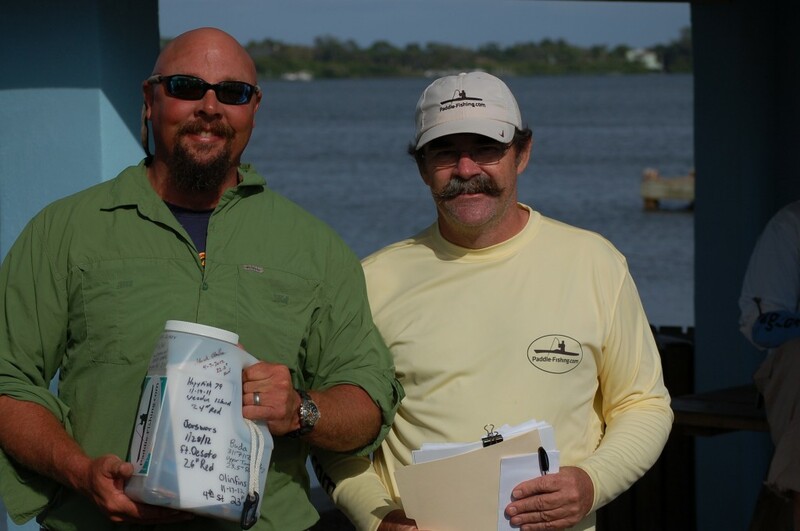 1st Place went to Rusty “FLfishchaser” Driver. 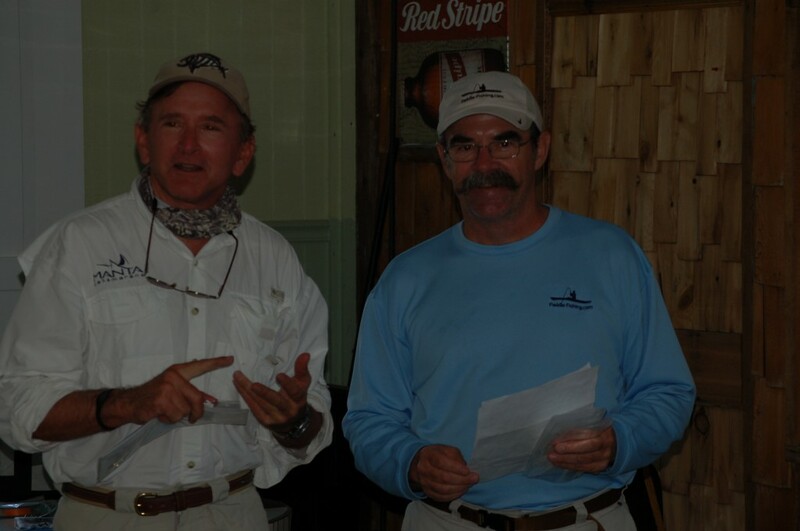 Rusty entered a 29 inch redfish, a 21 inch trout and brought a fish back for the fish fry for a total of 55 points. Rusty took home $190 for his effort. 2nd Place went to Steve “Manning” Manning. 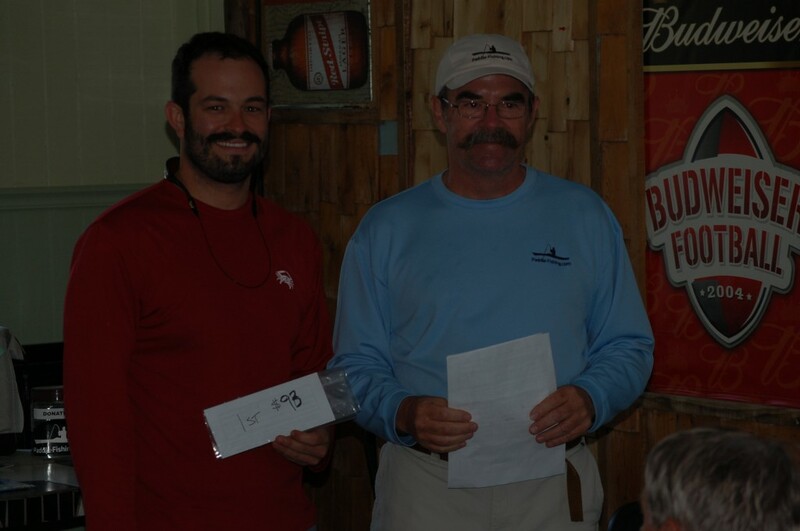 Steve entered a 27 inch redfish, a 20.25 inch trout and brought fish back for a total of 52.25 points. 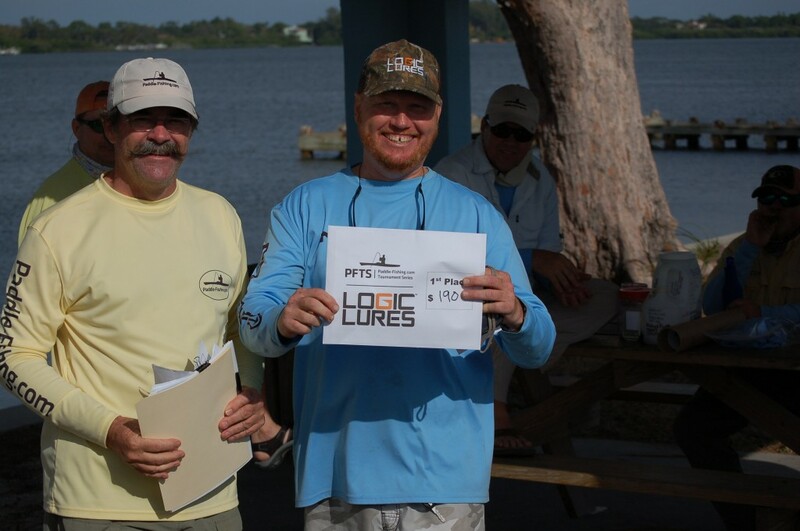 While snook did not count in this event, Steve also caught a 34.5 inch snook which gave him an 81.75 inch for the day! Steve took home $114. 3rd Place went to Chuck “Chuckst1” Statham. 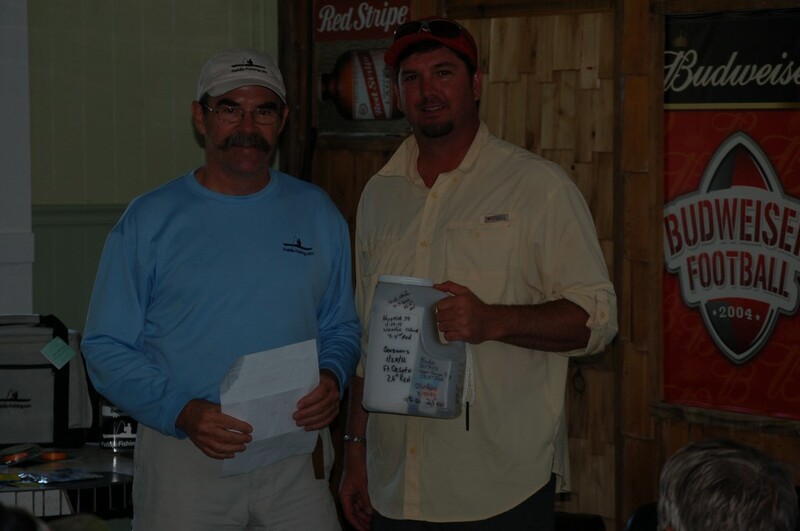 Chuck entered a 25.5 inch redfish, a 21.25 inch trout and brought fish back for a total of 51.75 points. Chuck took home $76. And Mark is still cooking. Large snook went to Kurt “kmeng” Meng. Kurt had to leave early to go unclog a drain at his house – or something like that – so he missed out on the picture taking. Kurt took a Breath Like a Fish shirt home with him for his efforts. Large redfish went to Josh “YakSlammer” Maitland. 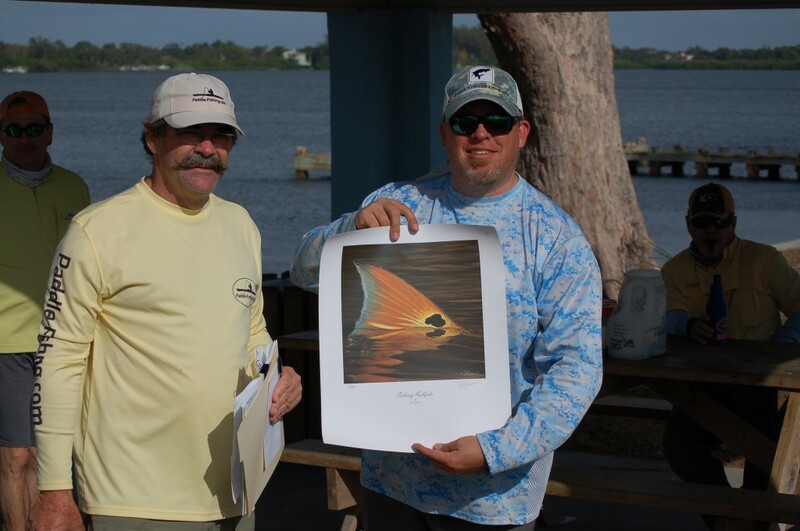 Josh entered a 26.25 inch redfish and took home a beautiful print. Large trout went to Doug “workless” Fisher. Dough entered a 22.75 inch trout which got him a Breath Like a Fish shirt. The final award is Juggie. This events winner is Scott “Big Hammer” Dalton. 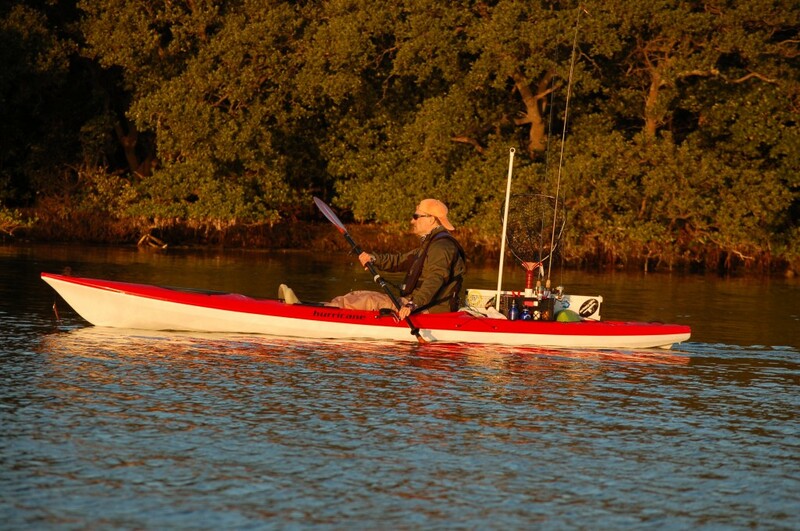 Juggie is the most highly coveted award in the kayak fishing tournament world. Many anglers have tried but only a select few have had the honor of being able to write their name on the side of this perpetual award. 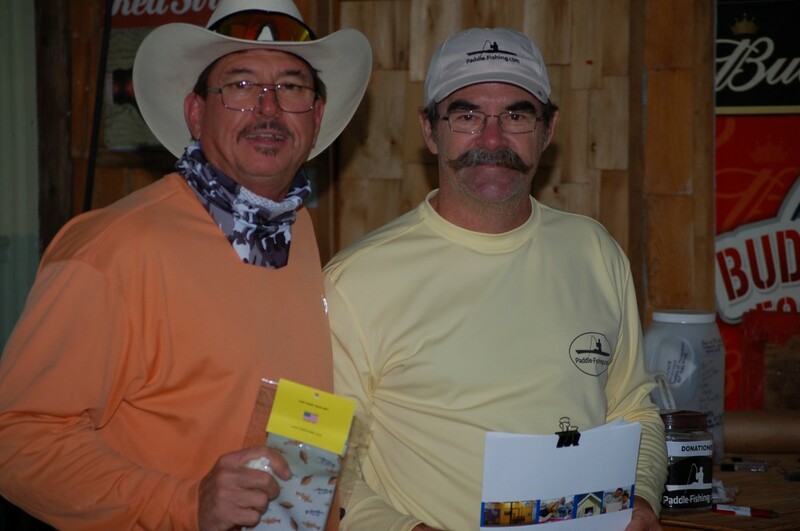 The winner is responsible for taking good care of Juggie – and adding a special memento inside – until the next event when another angler will be get a chance to wrest it away. Scott won Juggie for his impressive fish fileting skills. 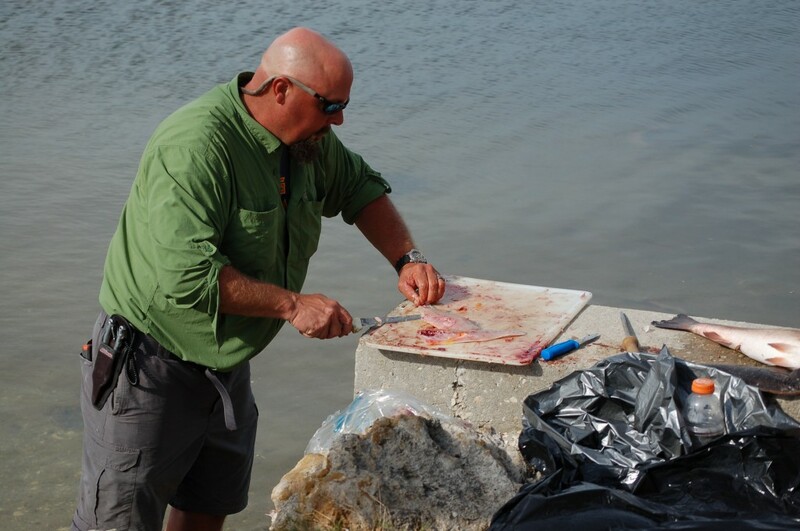 Scott stepped up and skillfully sliced off filets as fast as anglers could slide another fish on the cutting board. Good work Scott! and, by the way, Mark is still cooking. Let’s all give Mark a big round of applause! 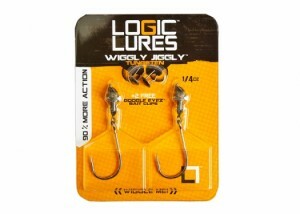 Once again, thanks go out to Logic Lures. 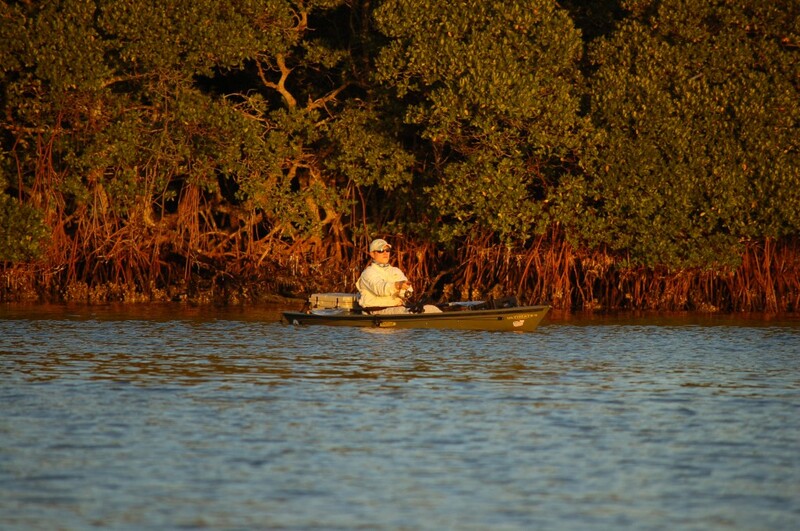 On what looked to be a very tough day to catch fish, the lures proved to be up to the task. 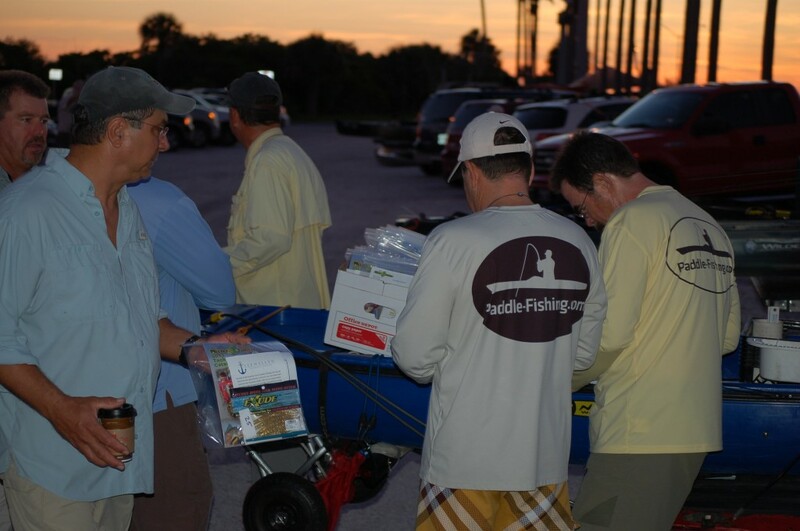 There were so many fish caught that, even after everyone stuffed their bellies, bags of fish filets went home with many anglers. Our worry that we’d not have enough fish for the fish fry was proven to be wasted by the skill of the PFTS anglers and the quality of the lures from Logic Lures. Our next event is February 15, 2014. We hope that everyone has a wonderful holiday season. Stay safe, enjoy time with your loved ones and mark your new 2014 calendar with the date! We’ve already put in our request with the weather Gods and we’re pretty sure you’ll like the choice of baits for the next one. 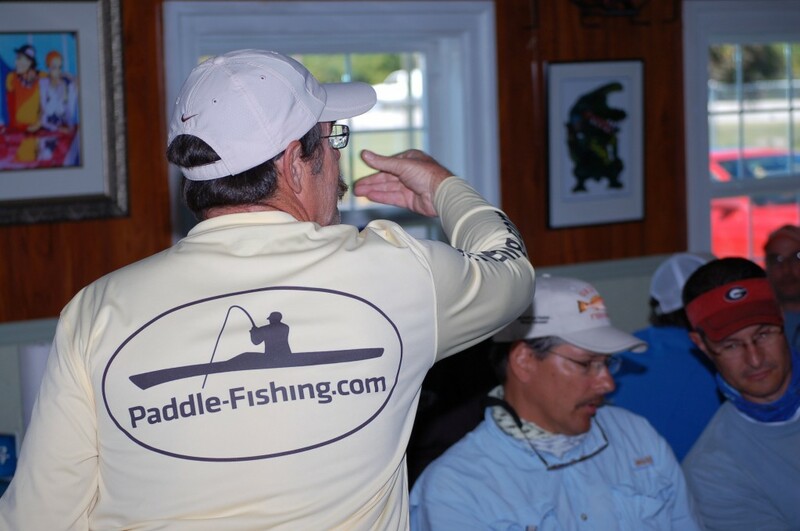 The second event of the 2013 – 2014 Paddle-Fishing.com Tournament Series is now complete. 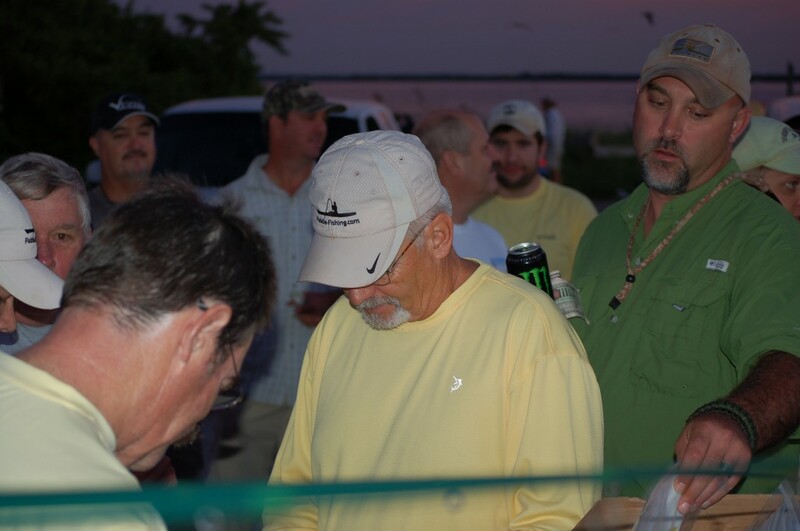 For this event the lures used were provided by Gambler Lures. 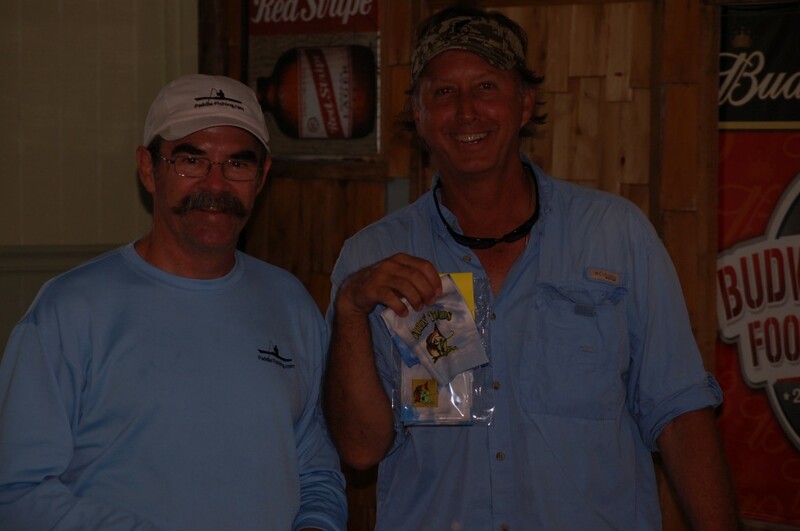 Each angler was provided a bag of 4″ Flapp’n Shads in Camo and 4″ Flipp’n Tubes in Green Pumpkin Chartreuse. 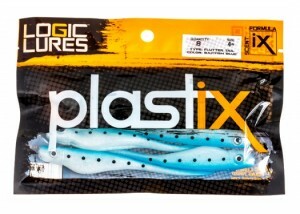 The Flapp’n Shad is a saltwater type bait but the Flipp’n Tube raised some eyebrows and some doubts. 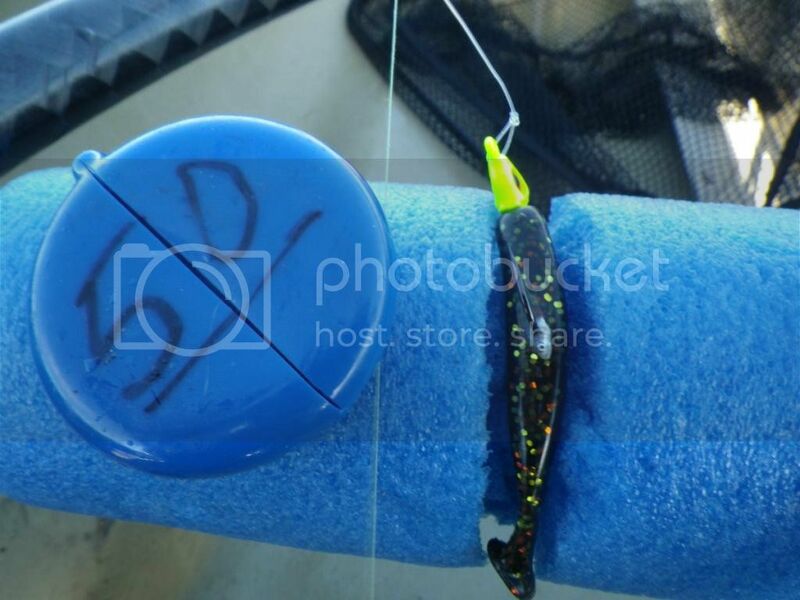 By the end of the day, the Flapp’n Tube proved itself to be a bait every saltwater angler should try out. 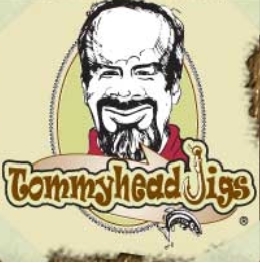 The anglers were also provided scents from Pro-Cure and jig heads from Tommyhead Jigs. 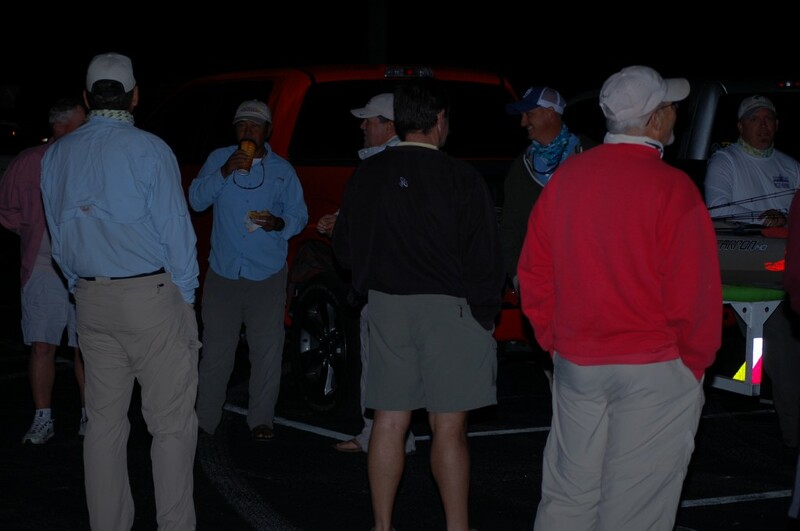 As usual, 36 anglers showed up dark and early for the morning sign in. We had just had our first cold snap of the fall so the morning temperatures were in the 60 degree range. Tournament Director Rik Llewellyn arrived especially early in an effort to rid himself of the well deserved but not well liked forum avatar but still found half a dozen guys who had arrived before him. 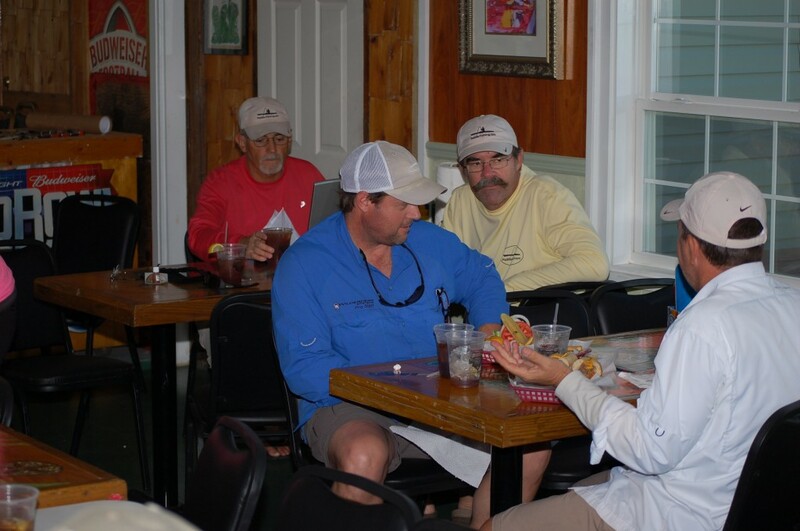 Being the dedicated angler that they are, the PFTS contestants were busy telling fish stories before the fishing even began for the day. 1 point per inch for one redfish. 5 points per spot on one side of one redfish. 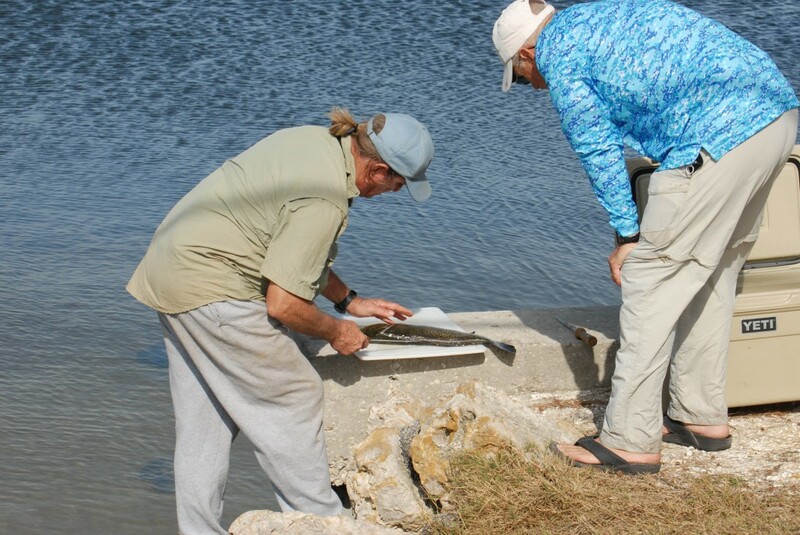 20 points for a snook – length does not matter. It was a beautiful fall day that was full of sun that warmed everyone up quickly as the sun came up. Fishing, for most, was steady all day. 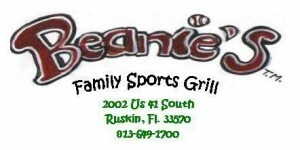 Once again we returned to Beanie’s Bar & Sports Grill in Ruskin, Fl for the Pic n’ Sip. Beanie’s is a family owned and operated and they have always treated us well with great service, cold drinks and excellent food – I suggest the Beanie’s Beef! 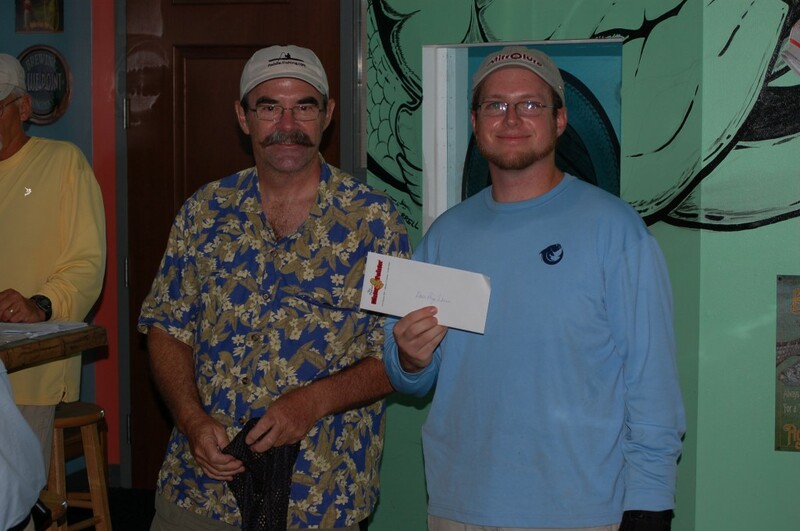 1st Place went to Chuck “Teamshaft1” Statham. 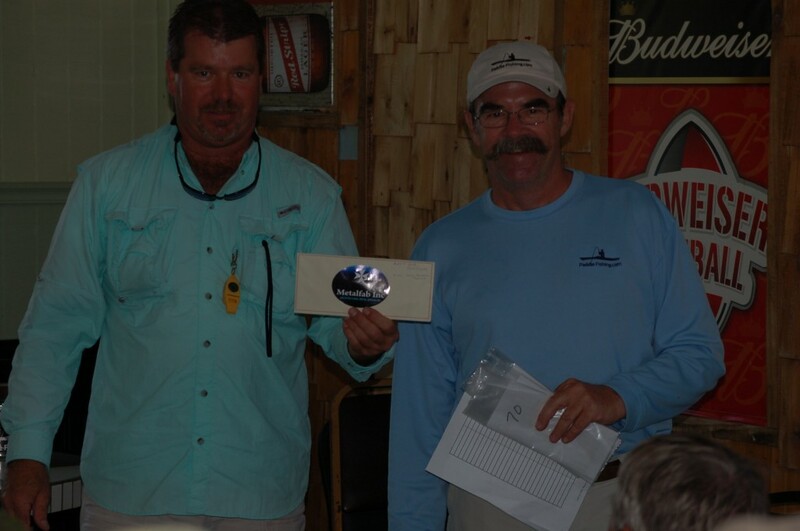 Chuck entered a 24.25 inch redfish, 2 spots, a snook, 3 trout and a jack for total points of 99.25. Chuck took home $180. 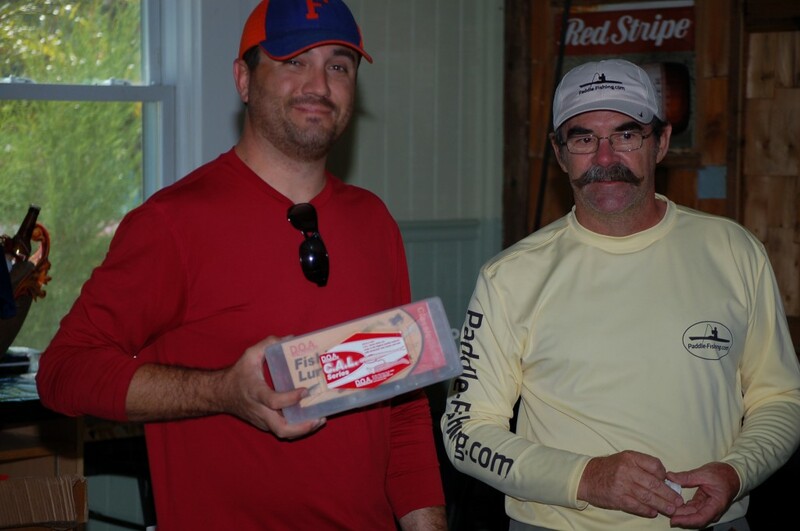 Large redfish was won by Brendan “Redfish Driver” Driver. 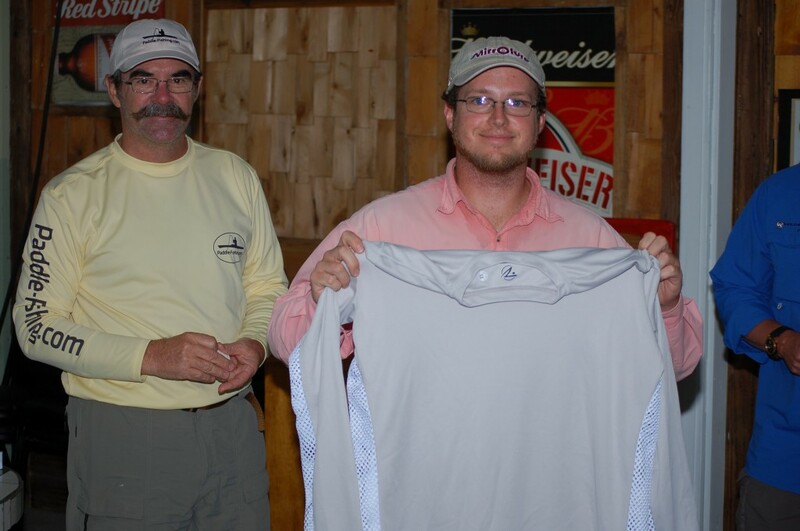 Brendan entered a 26.5 inch redfish, his personal best, and earned himself a Breath Like A Fish shirt. Large trout was won by John “Ump608” Chapman. 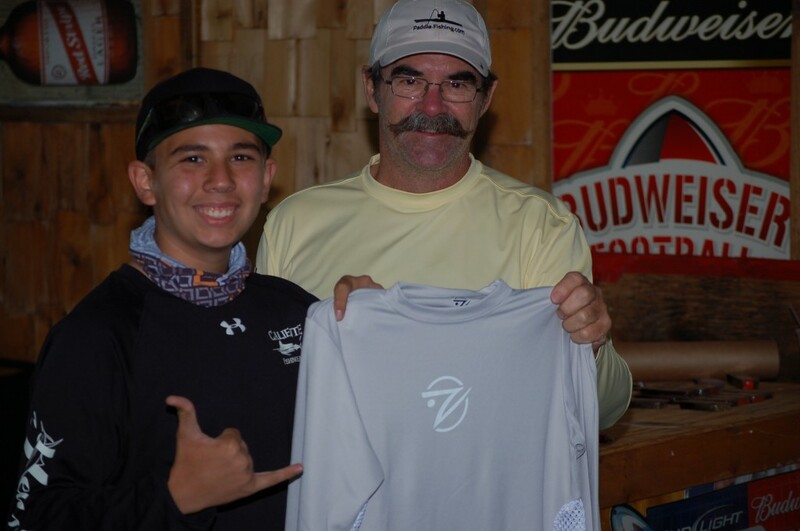 John entered an 18 inch trout which earned him a pair of Tailin’ Toads fingerless fishing gloves. With many new and returning prize sponsors, we had a strong raffle after announcing the winners. 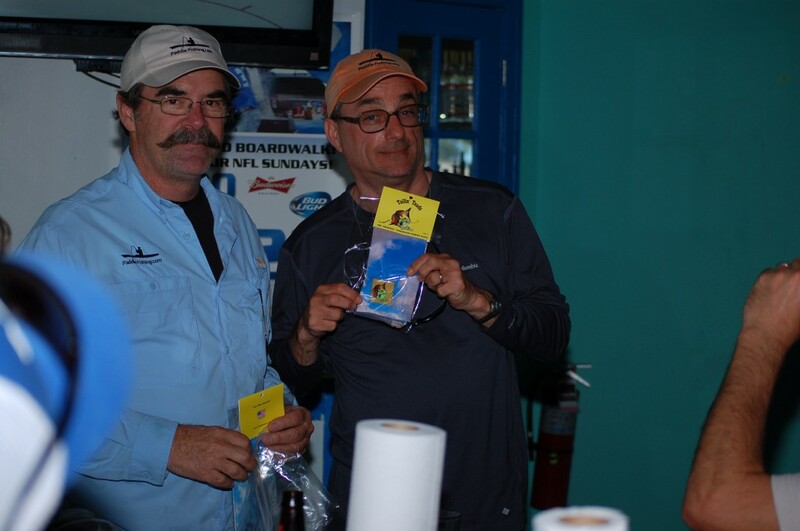 With raffle prizes from Addictive Fishing, Salty Shores, FINS, Big Hammer and D.O.A, everyone stood a good chance of having their number called to take home a prize. The day would not have been complete without a “Proud Dad” story from Rusty Driver. 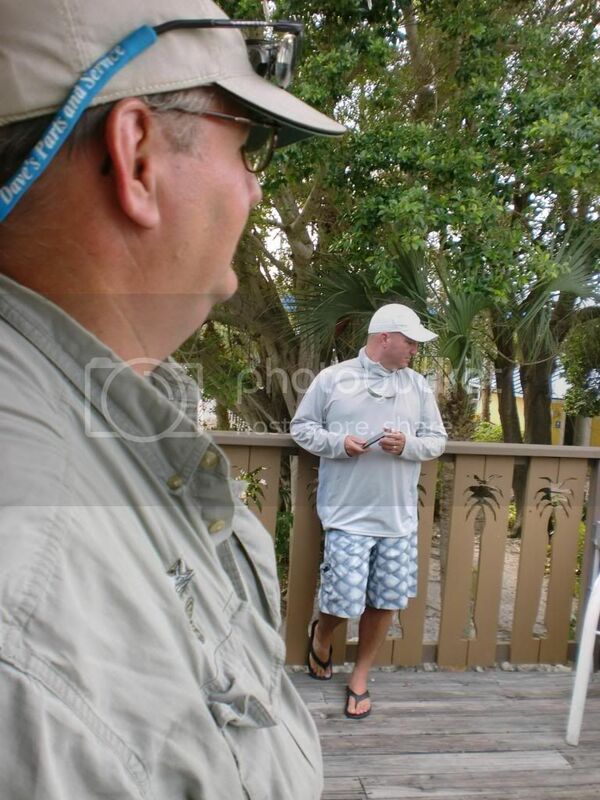 He gave a blow by blow description of his son Brendan’s catch of his personal best and tournament winning redfish. 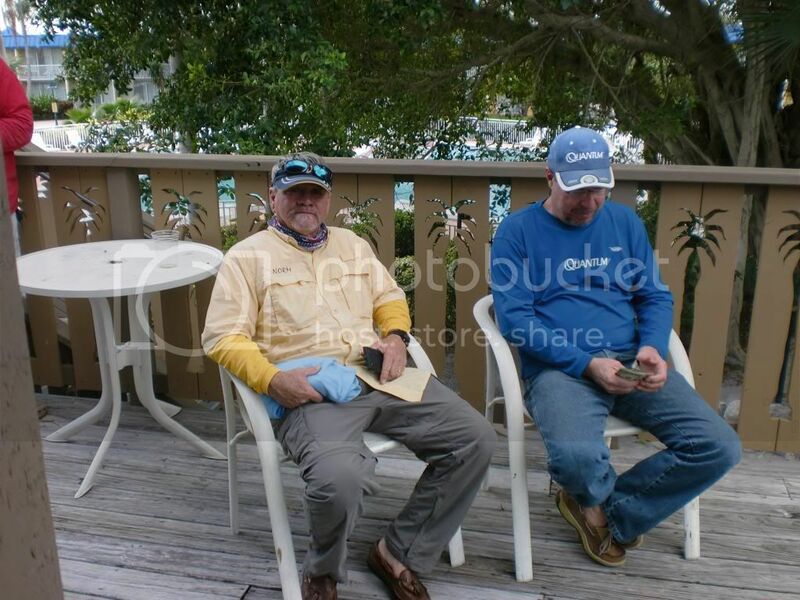 It a good time when son finally outfishes Dad (and the rest of the guys). 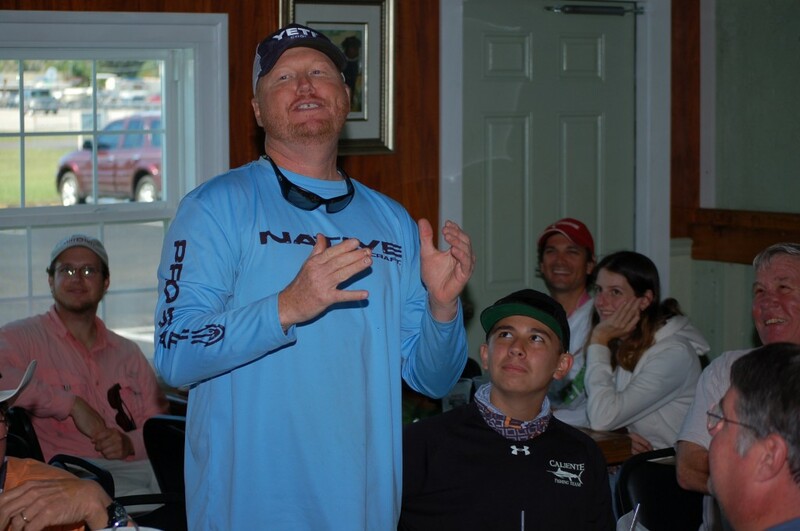 Rusty regaling the crowd with the story of Brendan’s catch while his son looks on. We’d like to give a big shout out to Val and Mike from Gambler Lures. 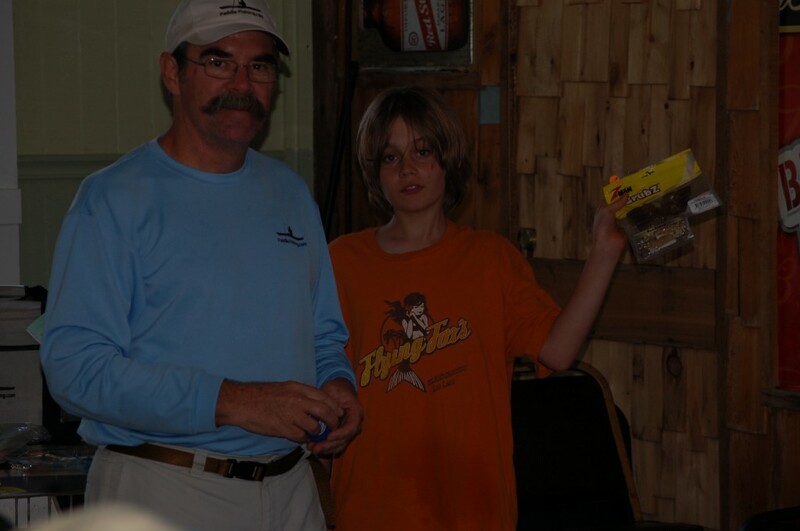 They provided the anglers with quality baits and, I think, learned something about tube baits in saltwater. Yes, they do work! 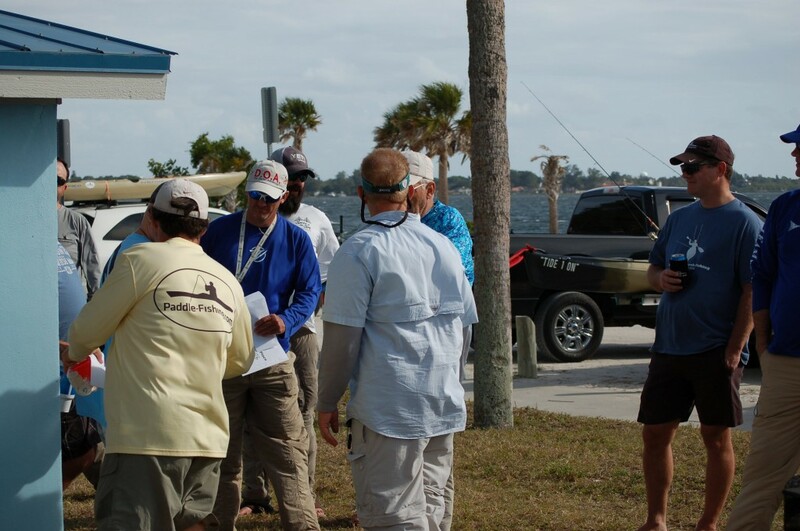 The next event is December 14, 2013 and will be held in the Palma Sola area of Bradenton, FL. 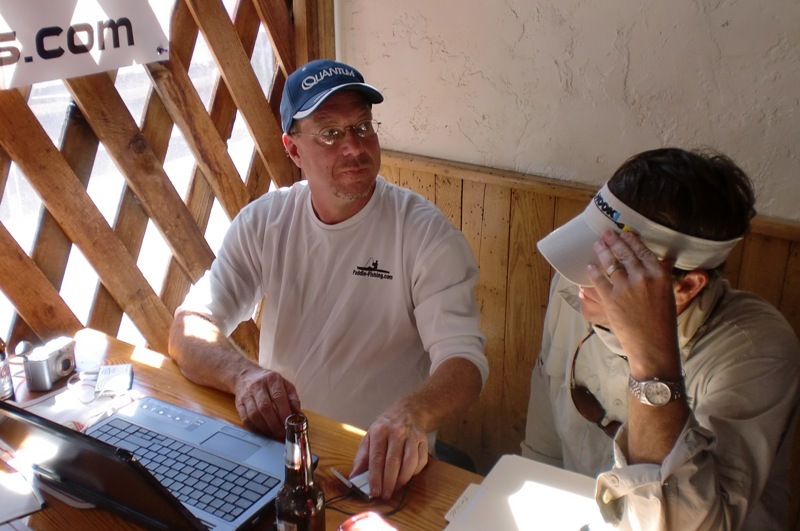 The tournament committee has studied the tides, catch reports from previous events held there, expected weather conditions the solunar tables in choosing the lures that will be used. It was a solid discussion among the committee members but we arrived at a logical choice for the lure. 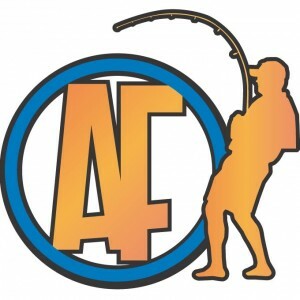 The anglers will be pleased and many fish will be caught! Look for a full announcement to be posted soon. 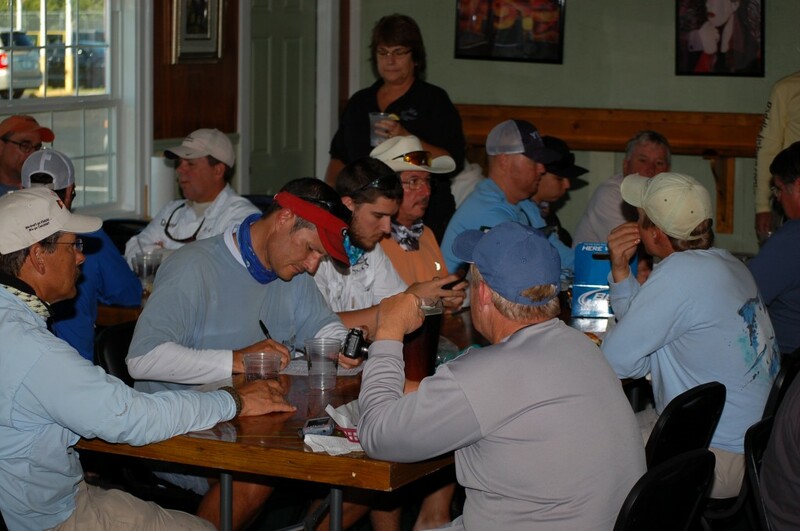 Once again, thanks to all of our sponsors and to the anglers who came out to compete. Looking forward to seeing all of you and more at the next event! 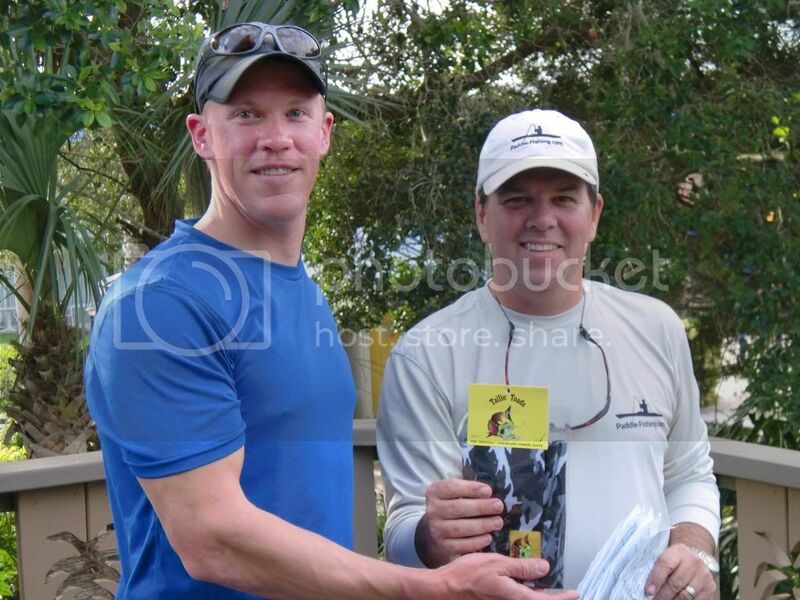 The first event of the 2013-2014 Paddle-Fishing.com Tournament Series was held on September 21, 2013 in the Upper Tampa Bay area. 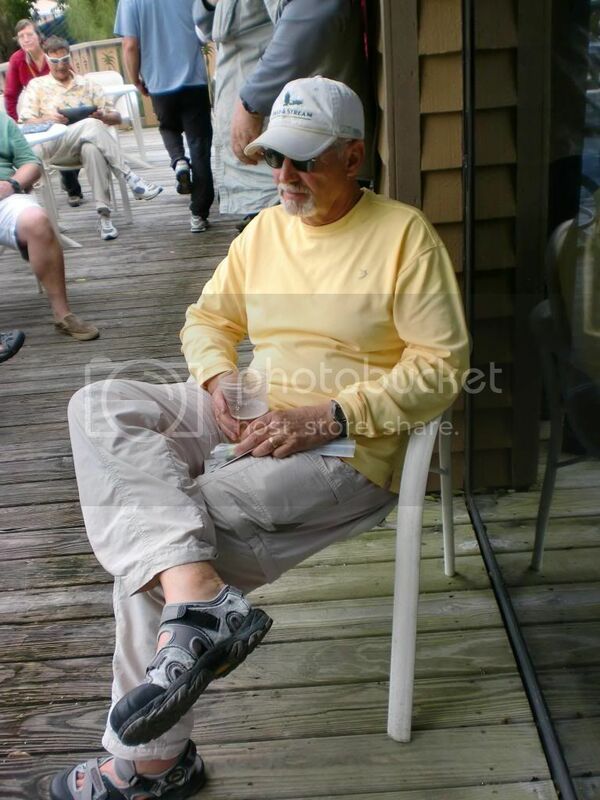 This event was a memorial event for our good friend and long time judge for the PFTS. 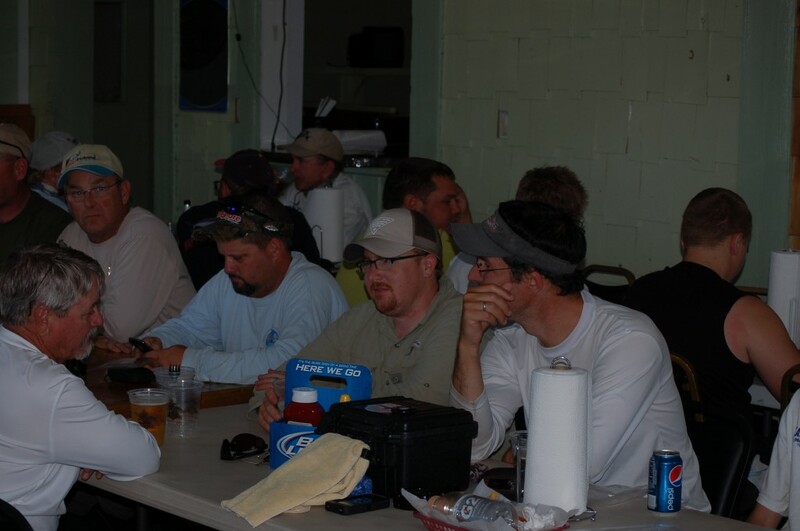 Mark could always be found at the Pic n’ Sip sitting behind a computer making sure the scores were tabulated correctly, looking at fish pics to verify measurements and doing anything else to help make sure the events went off without a hitch. We’re gong to miss you Mark! 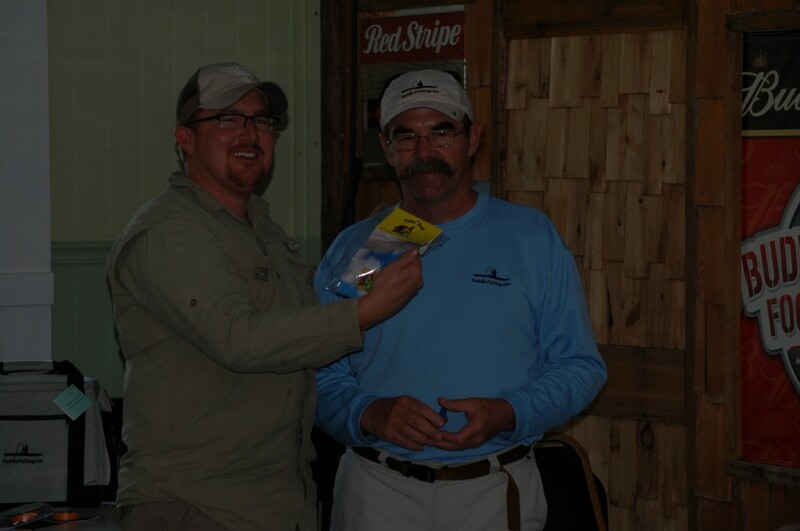 Our lure sponsor for this event was Mister Twister who supplied everyone with Mark’s favorite lure the EXUDE gold dart. You rarely had to ask Mark what he had on the end of his line. The day started very early for all but the Tournament Director who arrived an hour late due to an alarm clock malfunction. Or so he claims. The morning sign in that was supposed to run from 6:15 to 6:45 ended up being a quick sign in for all 38 guys at 7:15. 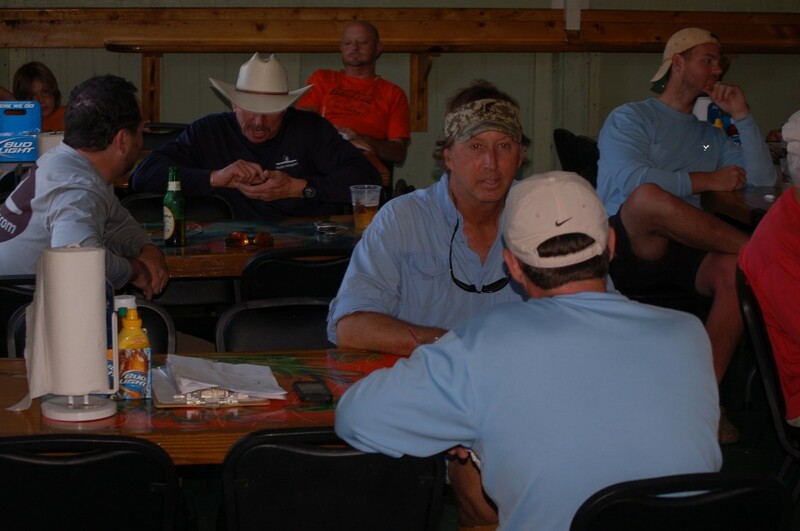 Most of the anglers took it in stride and used it as a good time for a well deserved ribbing of the Tournament Director. 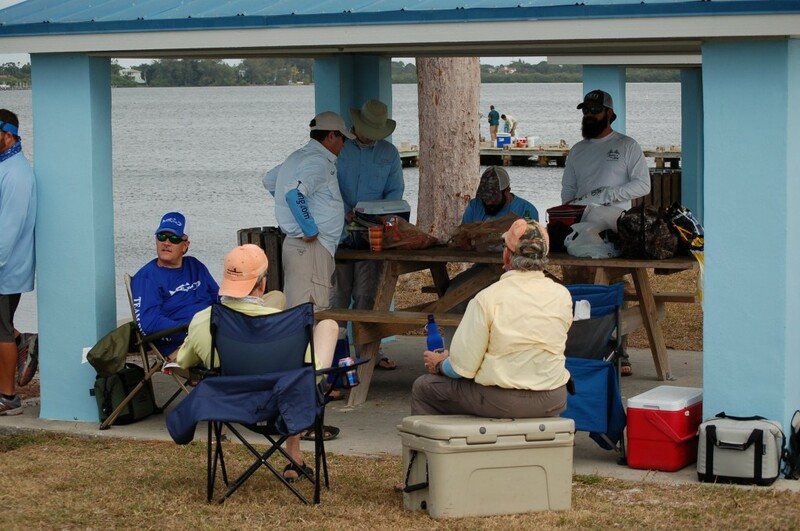 The anglers were met with a beautiful early fall Florida day. Lots of sun, a nice breeze and hungry fish. The format for this event was a points format. 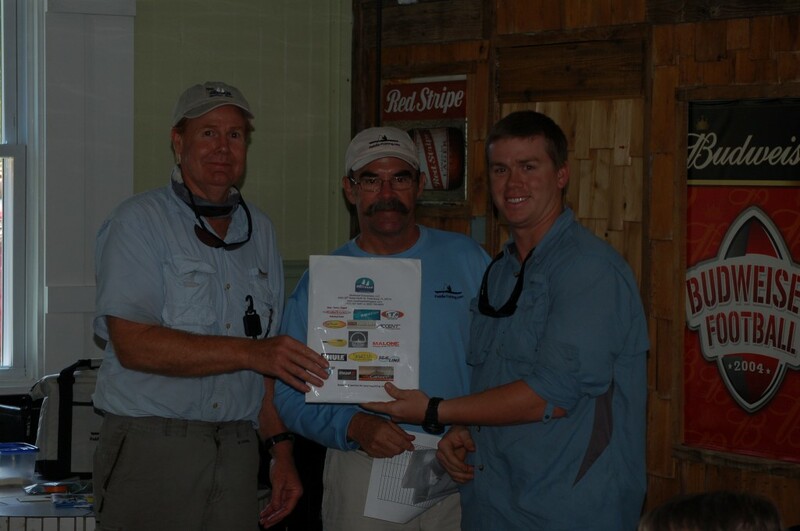 Each angler got points equal to the number of inches for a redfish, 15 points for a snook and 10 points for a trout. 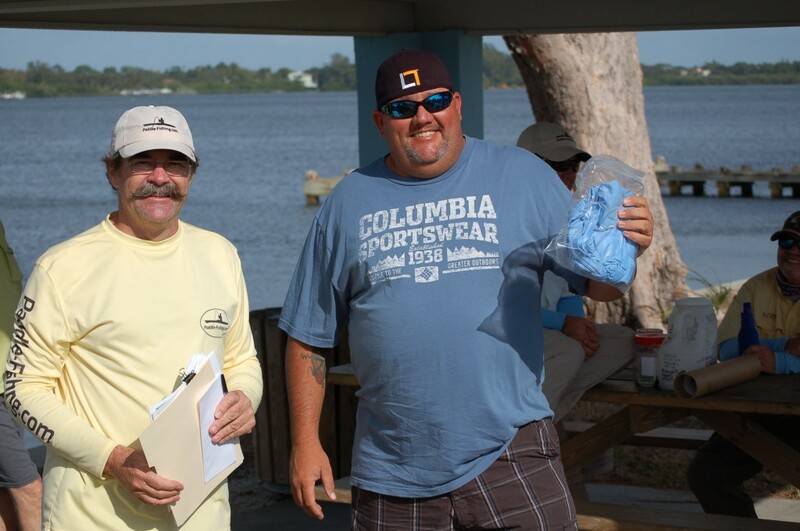 In the case of a tie, the tiebreaker was 5 points for anything species of fish caught. There were a lot of redfish, snook and trout caught but the D.A.R.T. 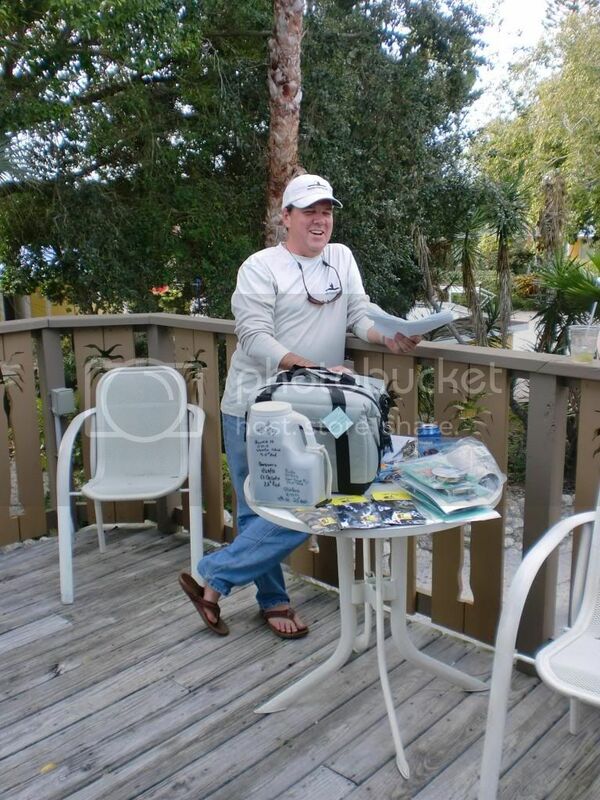 also hooked into a large number of ladyfish, mullet, pinfish, lizardfish, jack and more. The gold D.A.R.T. 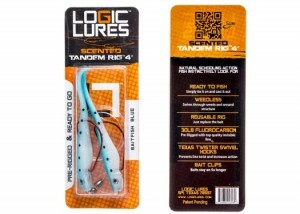 is a darn good fish catching lure! 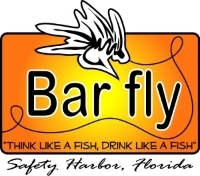 Our Pic n’ Sip was held once again at Barfly in Safety Harbor. 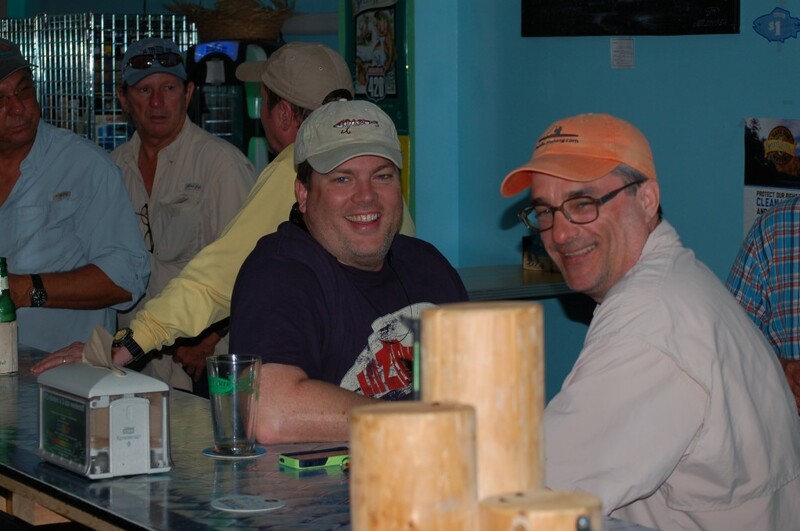 Great food, cold drinks and attentive service in a fun spot in the center of downtown Safety Harbor. When you stop by, try the Fish Tacos! 1st Place went to Chris “ChrisR” Ravelo. 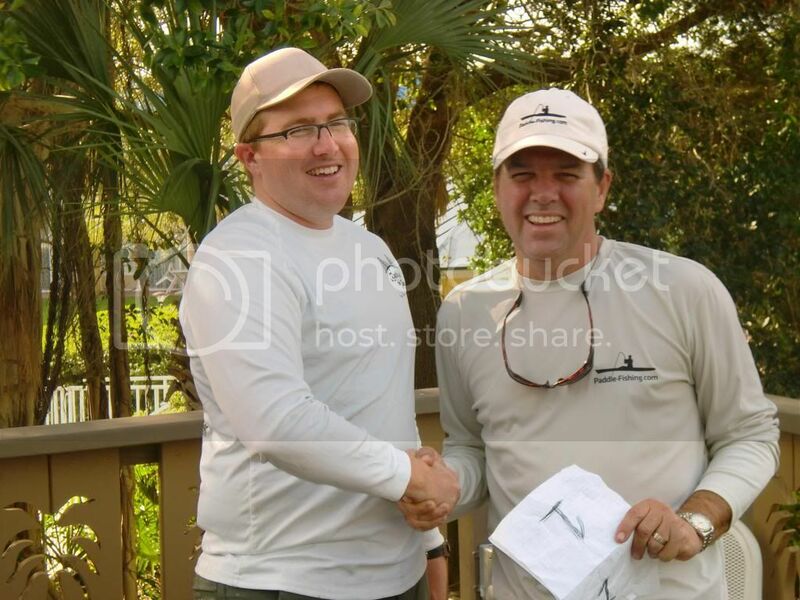 Chris entered a 26″ redfish, a 27.5″ snook and a 17.5″ trout which got him 51 points. 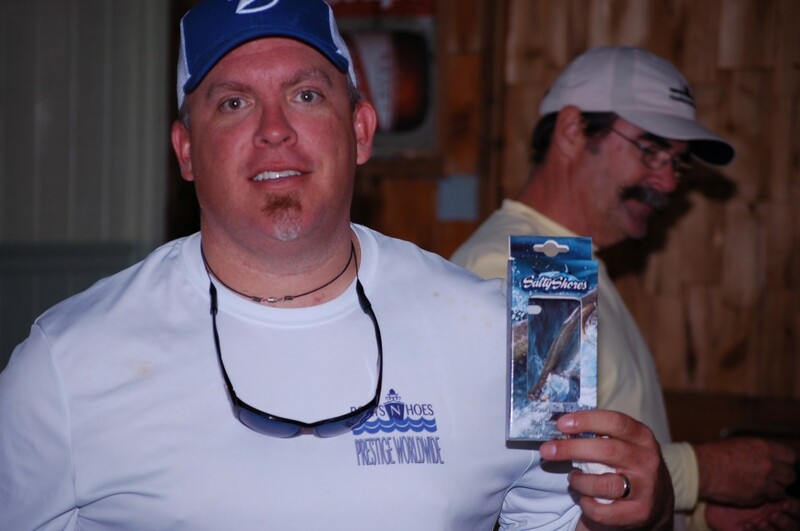 Chris took home $190 and 20 bags of EXUDE lures! 2nd Place went to Scott “Big Hammer” Dalton. 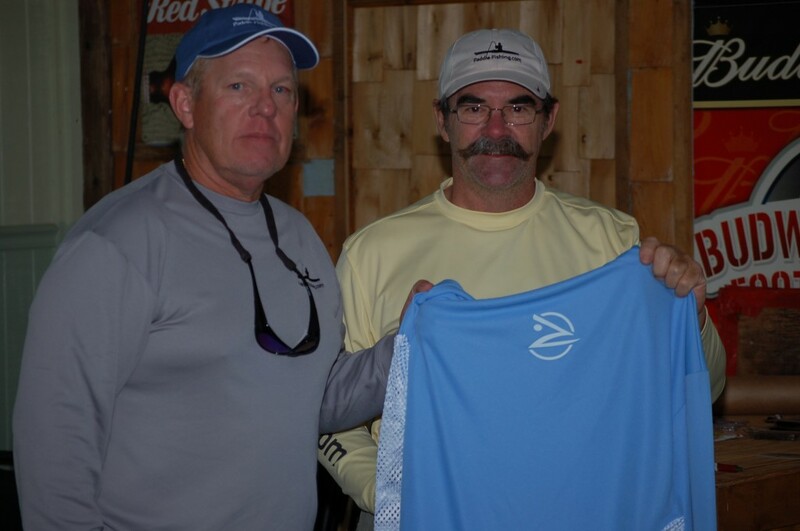 Scott entered a 24″ redfish, an 18″ snook and a 12 ” trout for 49 points. 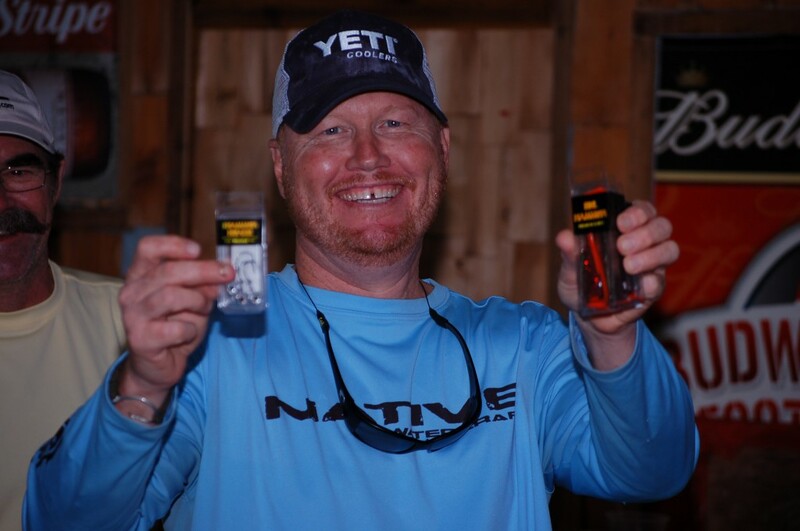 Scott took home $114 and 10 bags of EXUDE lures. 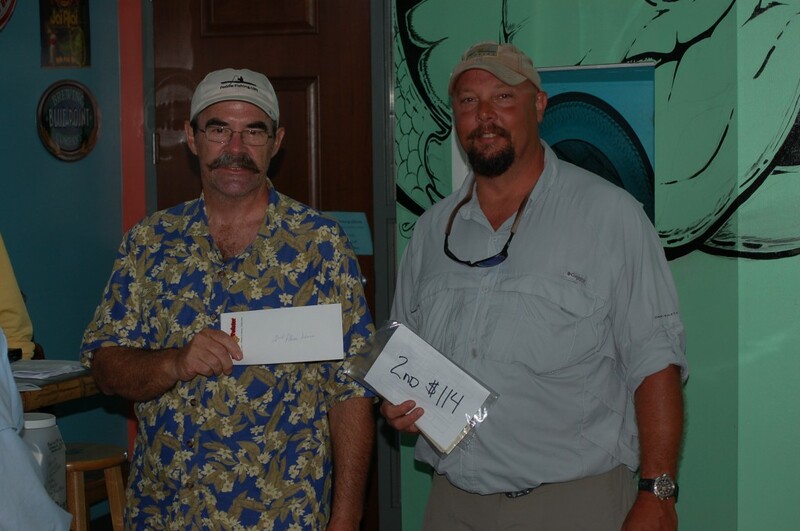 3rd Place went to Walt “Shallowfly” Palen. 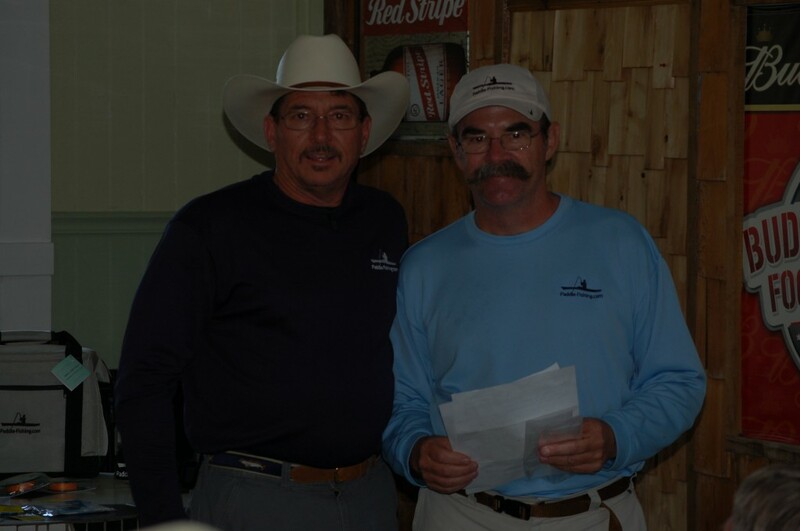 Walt entered a 21.5″ redfish, a 29.5″ snook and a 15.5″ trout for 46.5 points. Walt took home $76. 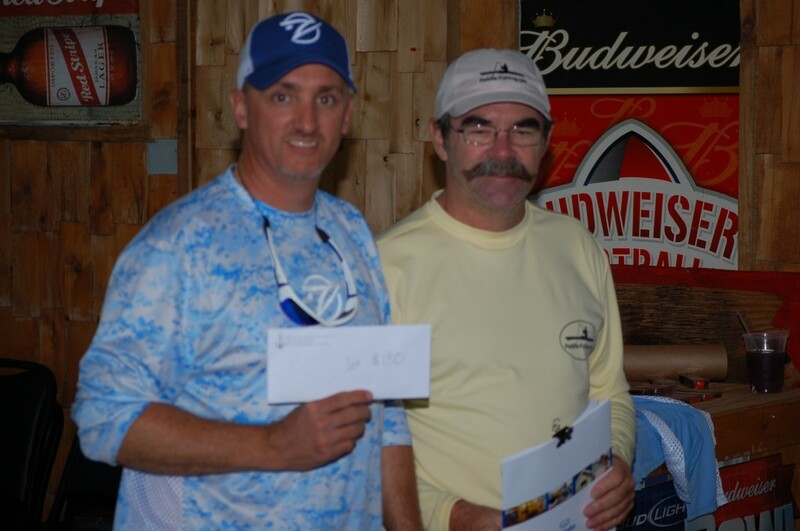 Large snook was won by Todd Llewellyn. His snook was the largest of those not already ‘in the money’ at 19.5″. 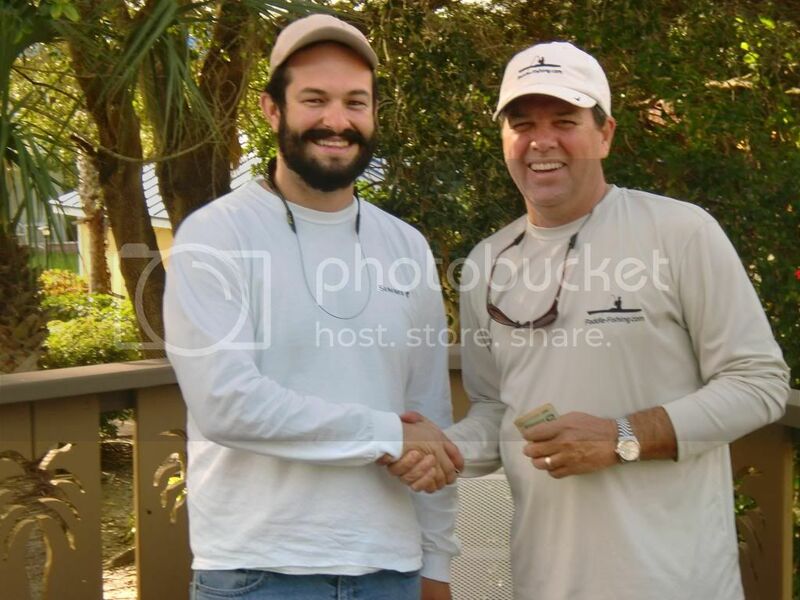 Todd took home a $25 gift certificate from Masthead Marine, a local St. Pete kayak and sailing store. 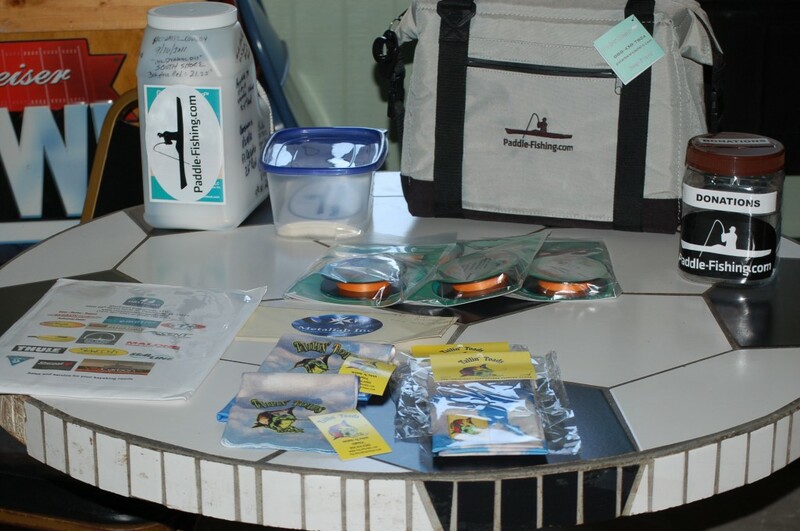 Paul, the owner, is a long time supporter of the PFTS. Now for the most prestigious award in the PFTS – The PFTS Perpetual Jug. This went to John “Ump608″ Chapman for his 25” redfish. The jug carries great responsibility. Every winner over the years has signed it and added a little something inside the jug. The jug even has it’s own Facebook page to detail it’s exploits in the hands of the winners. Take good care of it John and be sure to bring it to PFTS #2 in October! 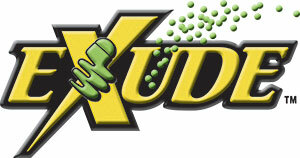 Mister Twister EXUDE also donated another gift certificate for 10 bags of EXUDE lures to be raffled off. This raffle was won by Richard “Rpiatt3” Piatt III. 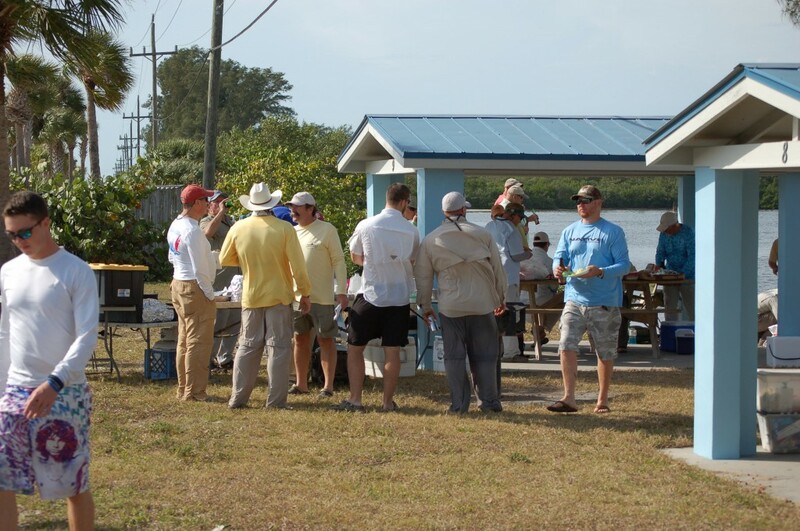 This years first event of the season was a good success with lots of fish caught, a good time out on the water, fantastic sponsors and a great venue for the Pic n’ Sip. 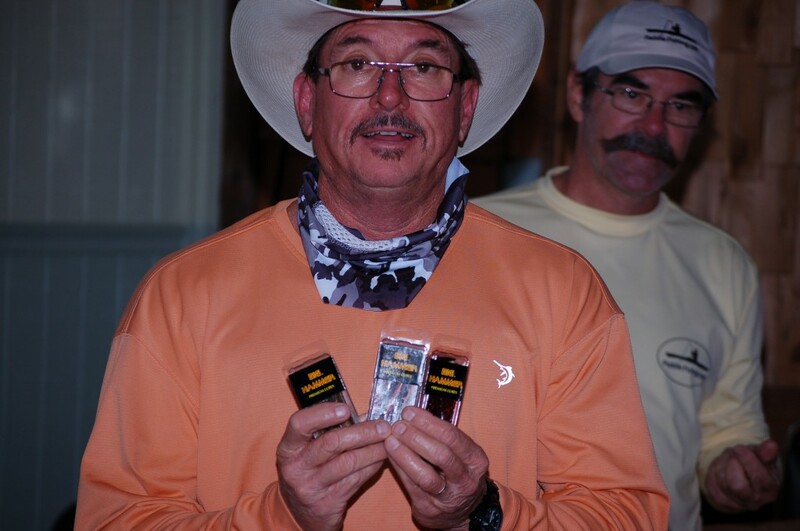 The next event, sponsored by Gambler Lures, will be another test of the angler’s ability. 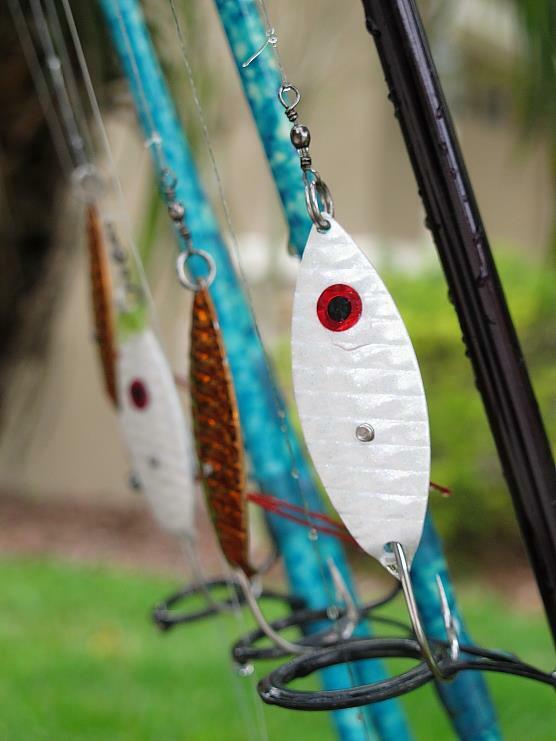 Gambler has provided us with lures that will likely be a first time for many anglers. 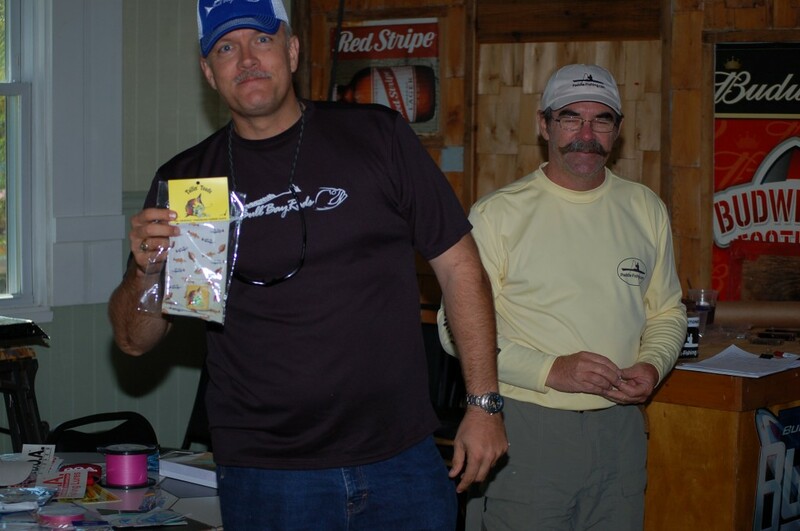 They are both proven fish catching lures that I’m sure our skilled anglers will use to fill up their tally sheet. 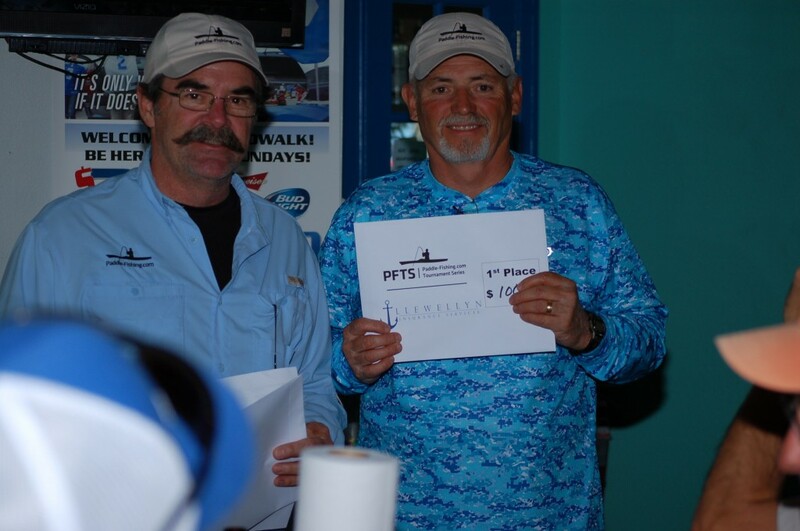 PFTS #2 will be held on October 26, 2013 along the South Shore of Tampa Bay. 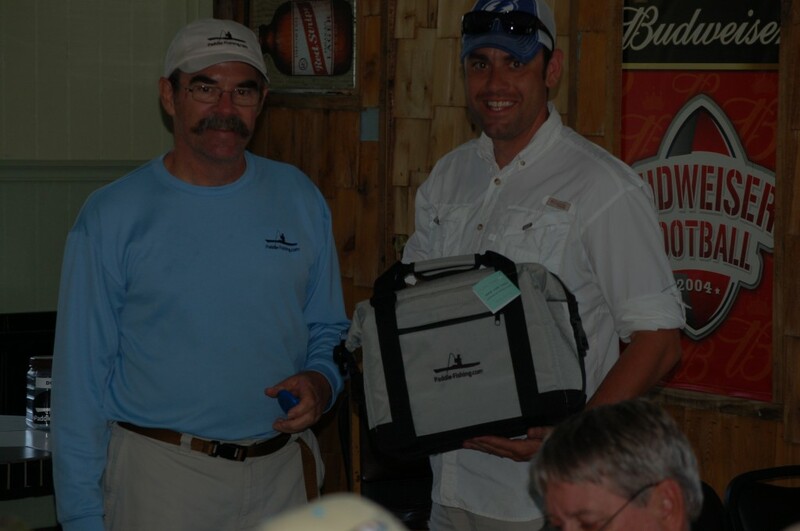 Once again, thanks to the sponsors and all who came out to fish! Look forward to seeing you at the next event. 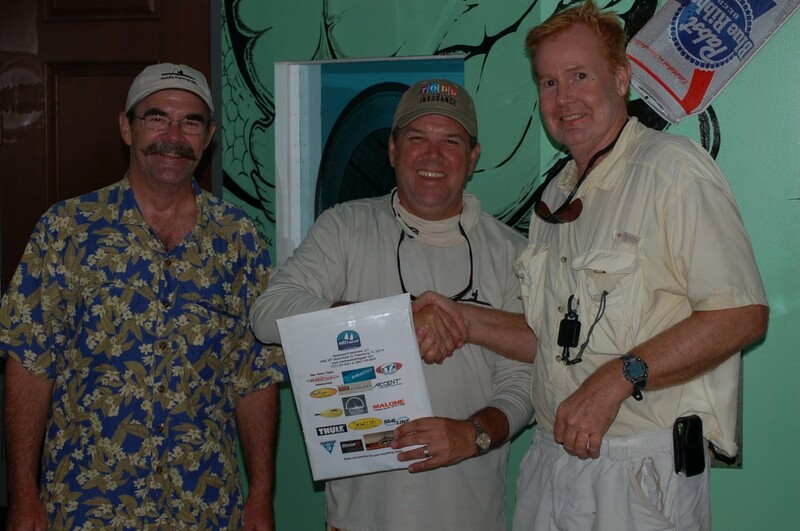 In memory of Mark Michael, the first PFTS of the season on September 21 will be a One Lure event. 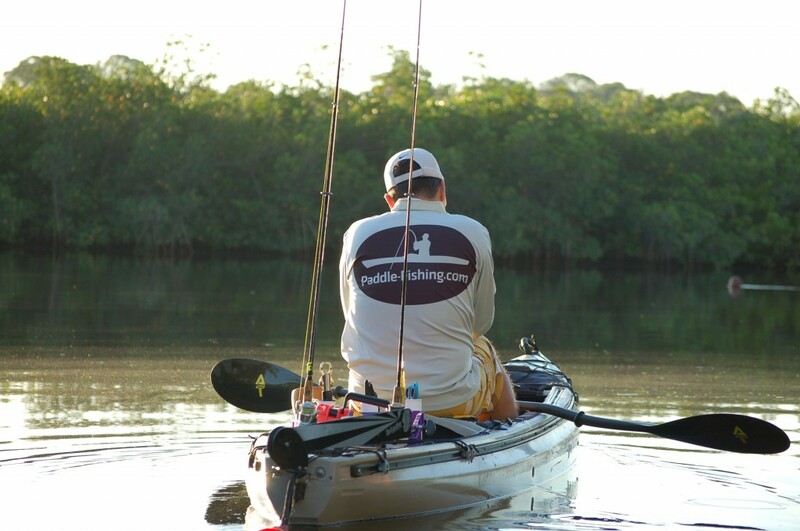 The lure of choice will be Mark’s favorite lure, the EXUDE Gold D.A.R.T. The sign in list is posted in the forum. 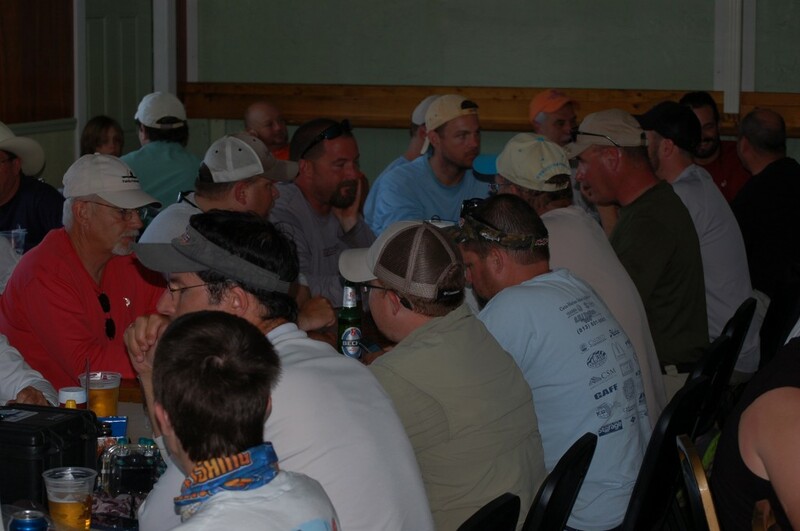 There is a hard limit of 50 anglers for this event. This year we’ve tried to mix it up with winning formats. 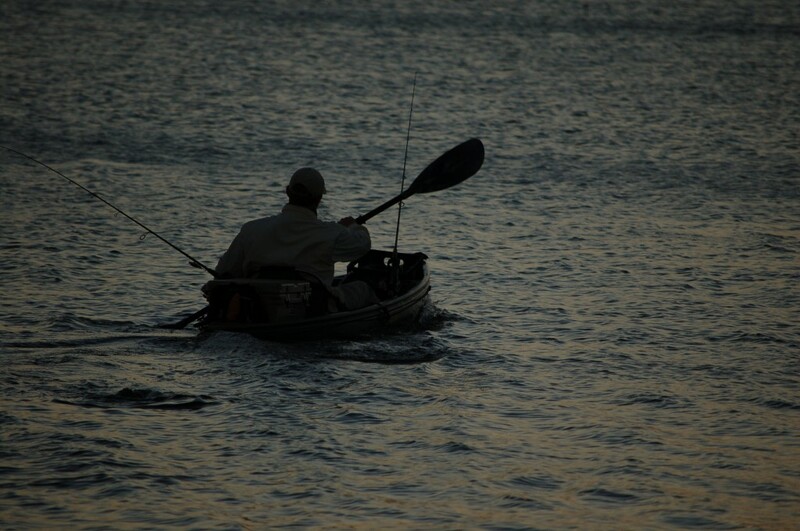 Every kayak fishing tournament in the state does the standard snook, redfish and trout slam. 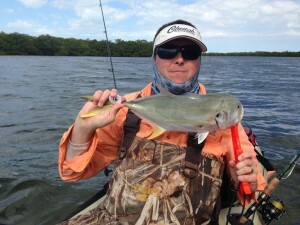 Seems the only change to that format is adding a flounder instead of the snook. We’ve decided to change that for our events. Our morning sign in started at 8 a.m. this time. The past 3 years we’ve had temperatures in the 30’s with a stiff breeze as we stood around in the dark for our January event. If it was going to be cold, at least the sun would be up this time! 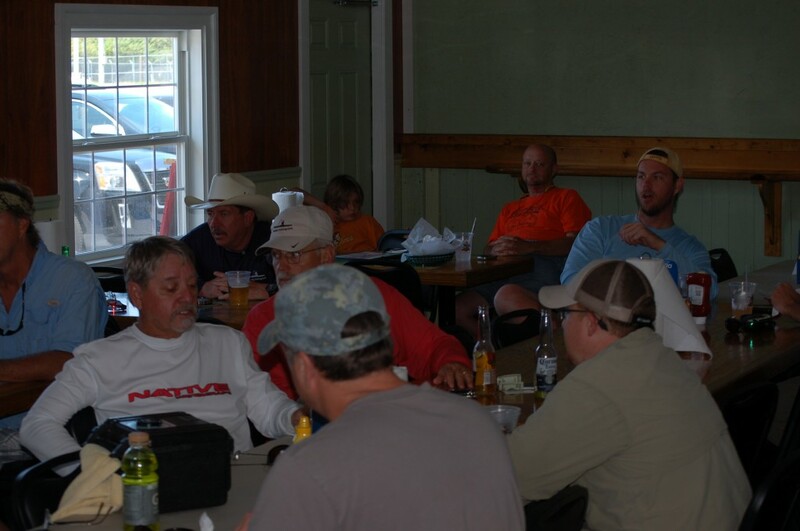 38 guys showed up to pay their $5 entry fee and pick up the bag of lures they’d be using for the day. This was “The Mystery Lure” event. The anglers showed up with fishing rods but were not allowed to bring any lures. 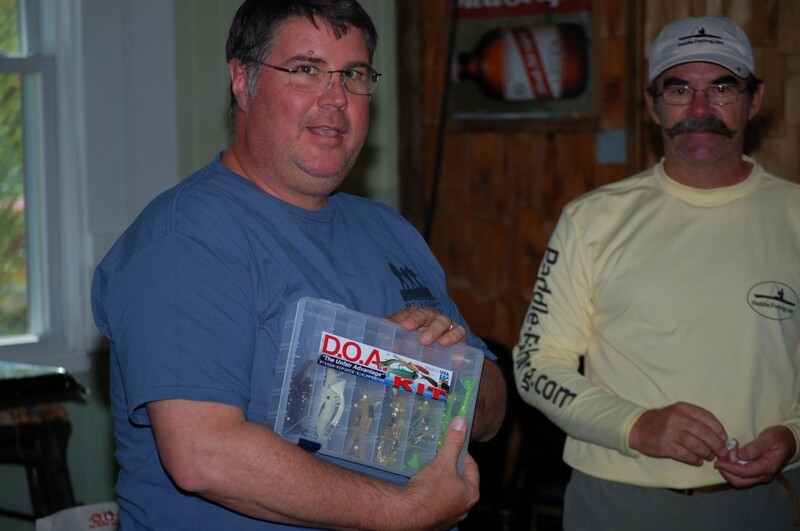 This year the lures were sponsored by DOA. 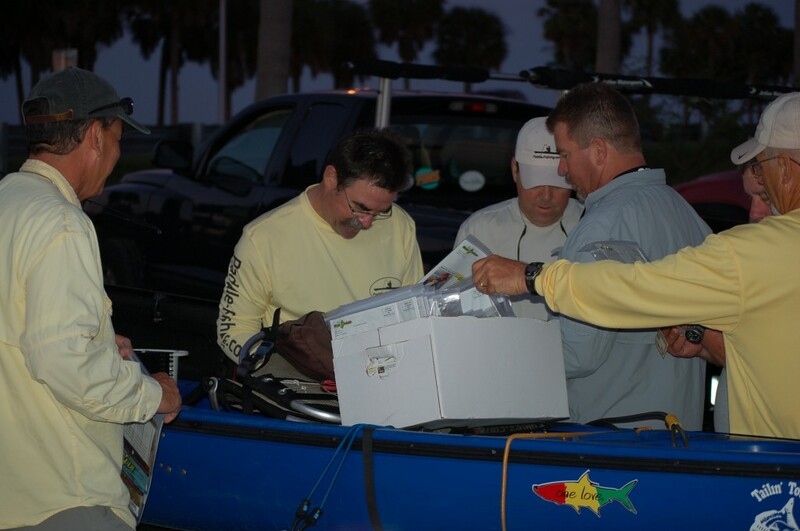 After they paid the entry fee, they got a bag of lures that contained chartreuse C.A.L. jig heads, motor oil Terror Eyz, gold glitter DOA shrimp and golden bream C.A.L. shad tails. These would be their weapons for the day. 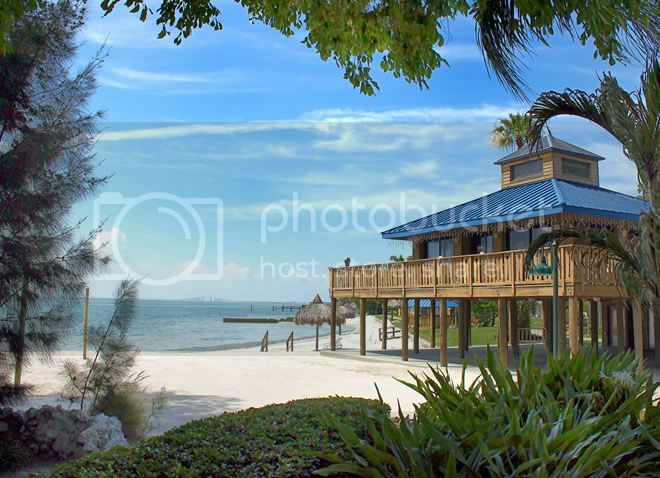 This event was held in the Fort Desoto area. The anglers were spared the typical cold temperatures but were met with a healthy breeze that stayed with them all morning. Everyone found it difficult to find fish regardless of where they went. Some headed back into protected coves and creeks while others braved the wind and headed out to flats with wide open northeast exposures. 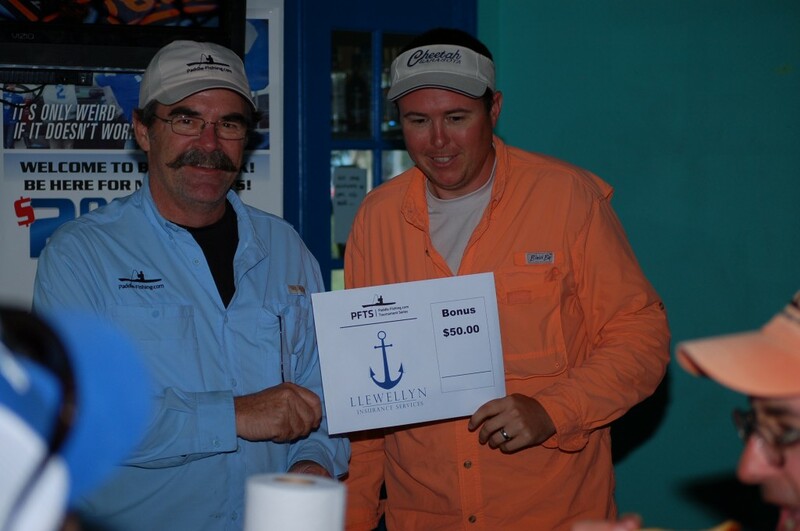 The winning format for The Mystery Lure was a points system included any fish you could catch. They were allowed to enter one of each species they could catch and, in the event, size did not matter. Anglers did not have to put their fish on a measuring board and struggle to get a good picture. All we needed was a pic that included the token and was good enough to identify the species. Snook, redfish and trout got 15 points. Flounder got 10 points and everything else got 5 points. There were also bonus points for a slam and for bringing back all of the lures intact. 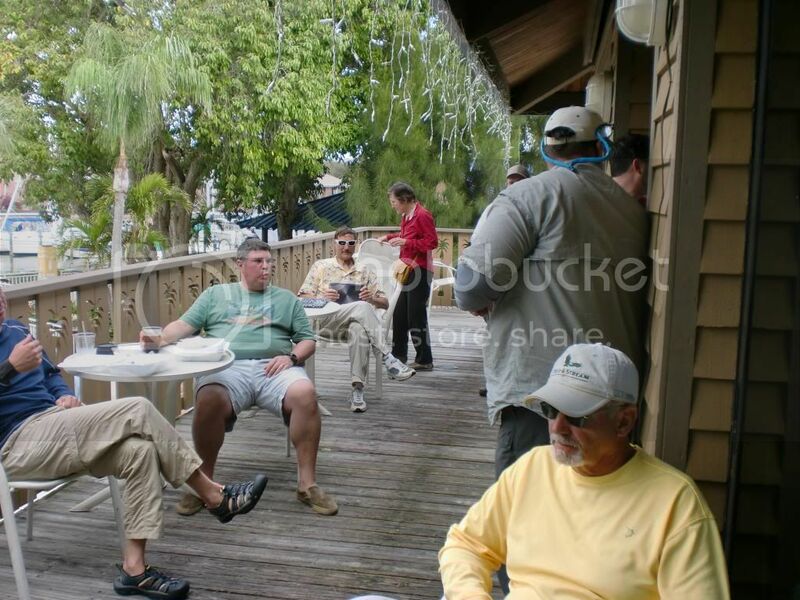 The Pic n’ Sip was held at the Nepa Hut Beach Bar at the Magnuson Marina Cove Resort in St. Pete. 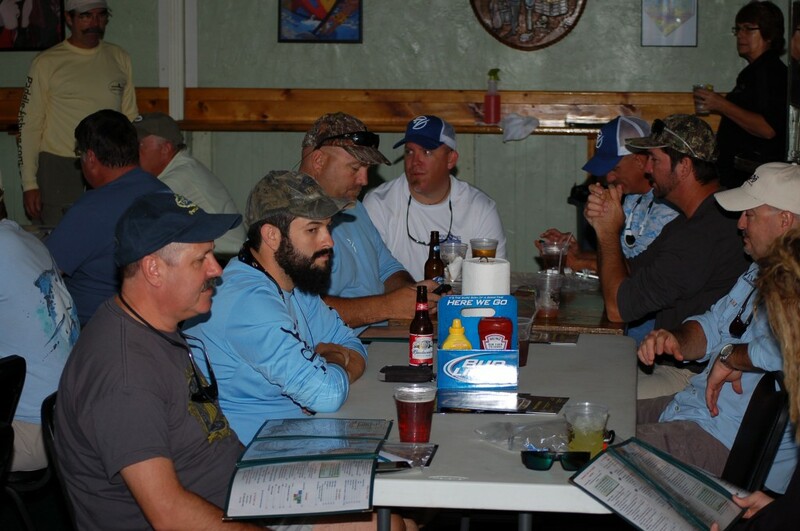 Anglers started showing up around 2 p.m. and the food and drink started to flow along with the fish stories that always accompany a gathering of anglers. Now for the results. The top three split the purse with 100% of the entry fees paid out in a 50%, 30% 20% split. The next 7 places won prizes. 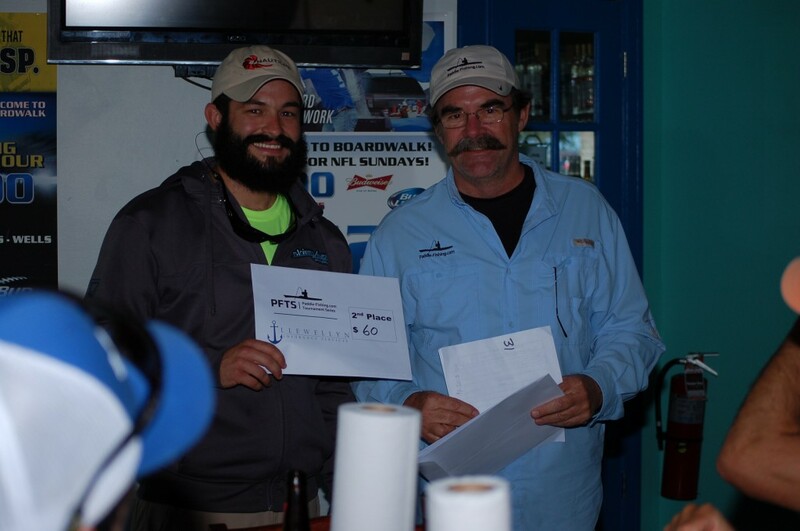 1st Place – Chris “ChrisR” Ravelo. 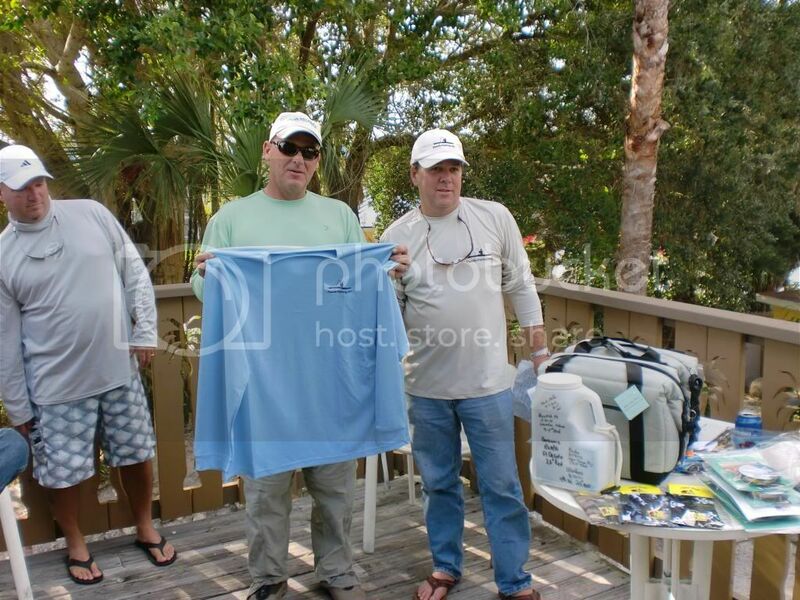 Chris is a repeat winner this year and, once again, he did it with a ladyfish. Everyone else is going to have to step up their ladyfish game if they want to beat him. 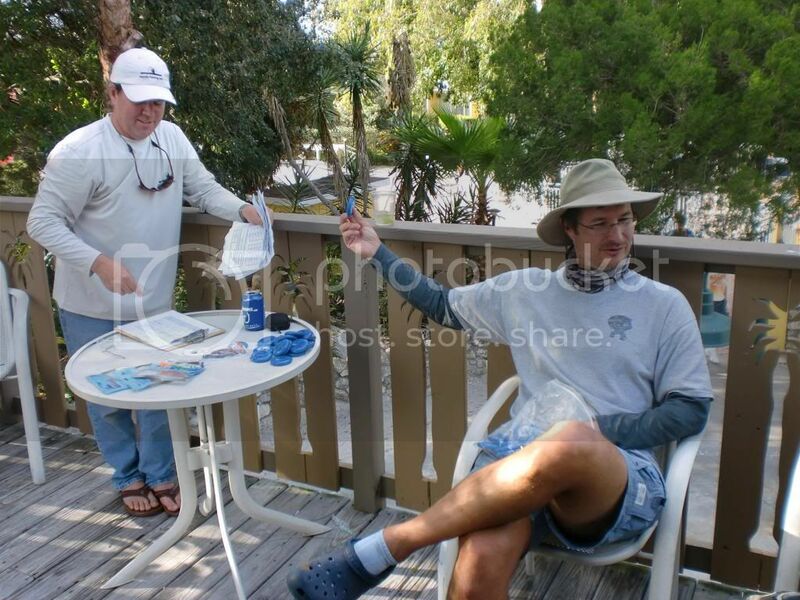 Chris also entered a redfish, trout, flounder and a pinfish. Chris took home $95. 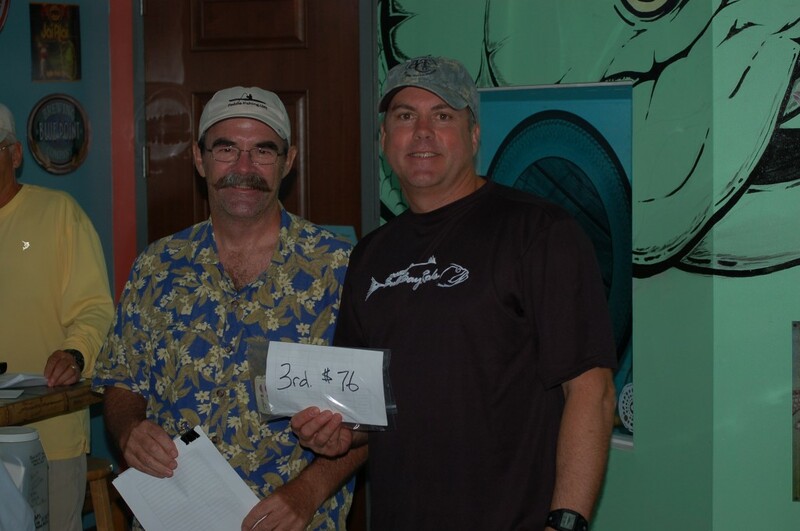 2nd Place – Mark “DoubleM” Mulligan. Mark is a first time winner this year. 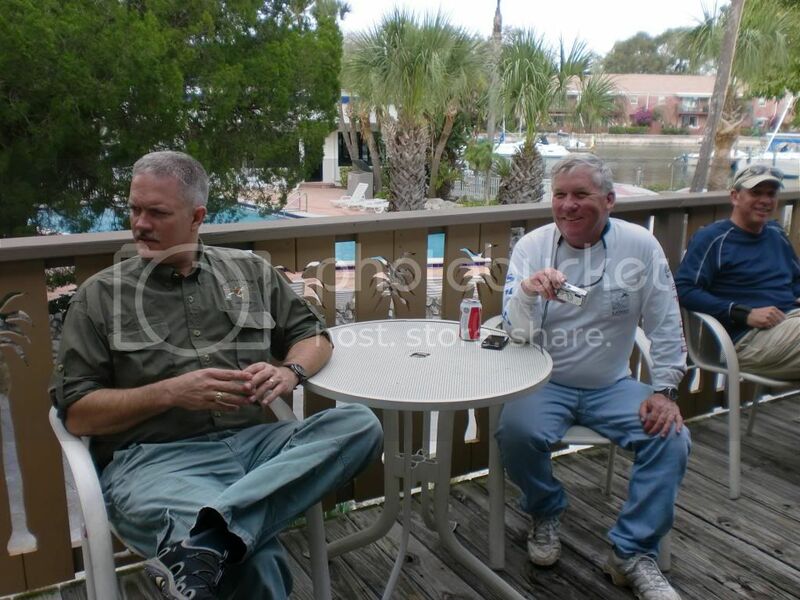 He entered a redfish, trout, flounder, ladyfish and, as seen in the picture above, a glass minnow. 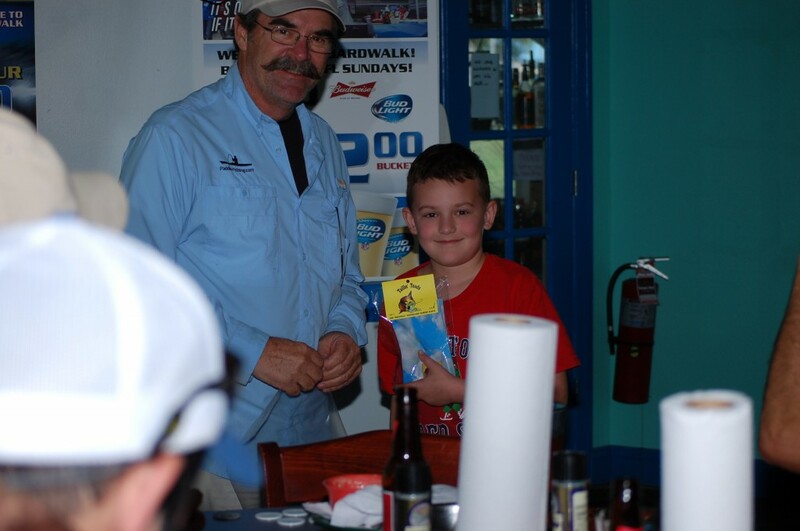 Not bringing his lures back intact cost him a tie for first place but he still took home $57. 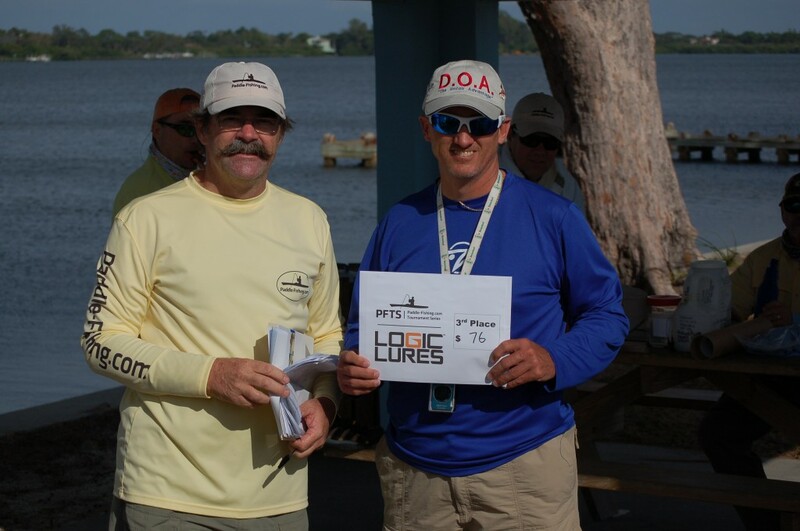 3rd Place – Dan “Texas Dan” Currey. 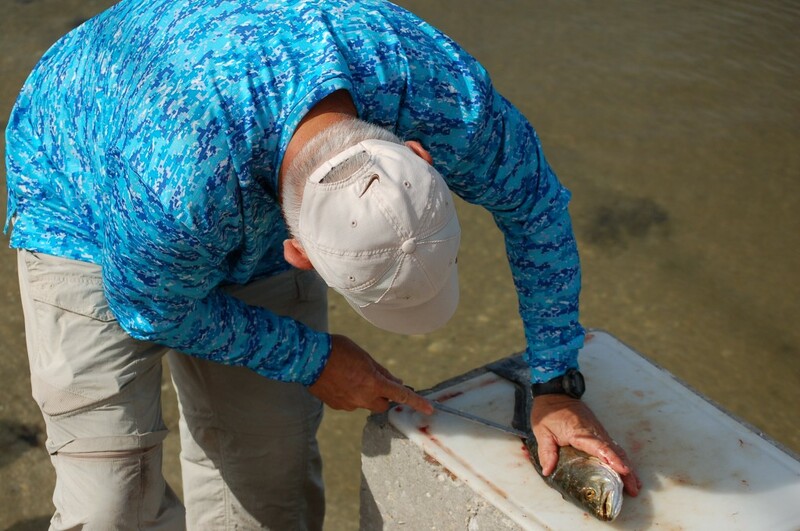 Dan entered a trout, flounder and a ladyfish. Brining all his lures back intact got him 5 bonus points. Dan took home $38. 4th Place – Justin “13” Chamoun. 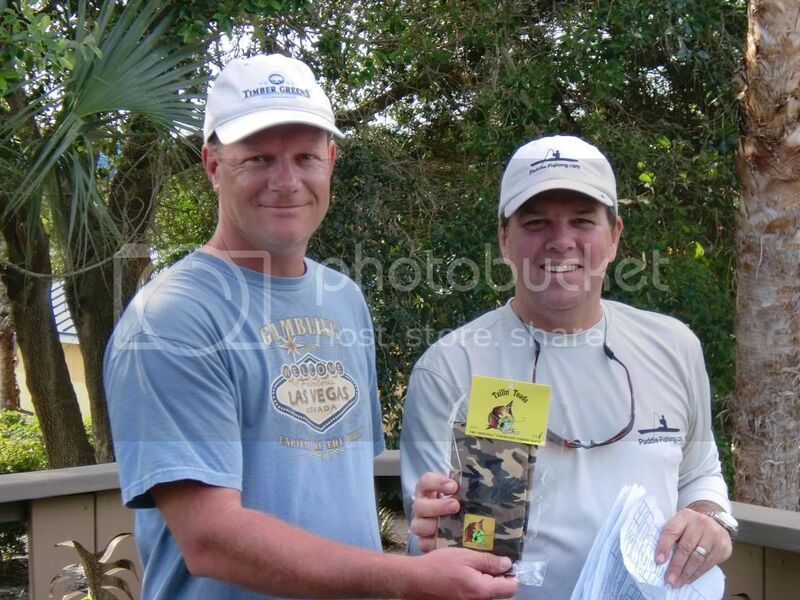 Justin entered a trout, flounder, lizardfish and got the lure return bonus points. 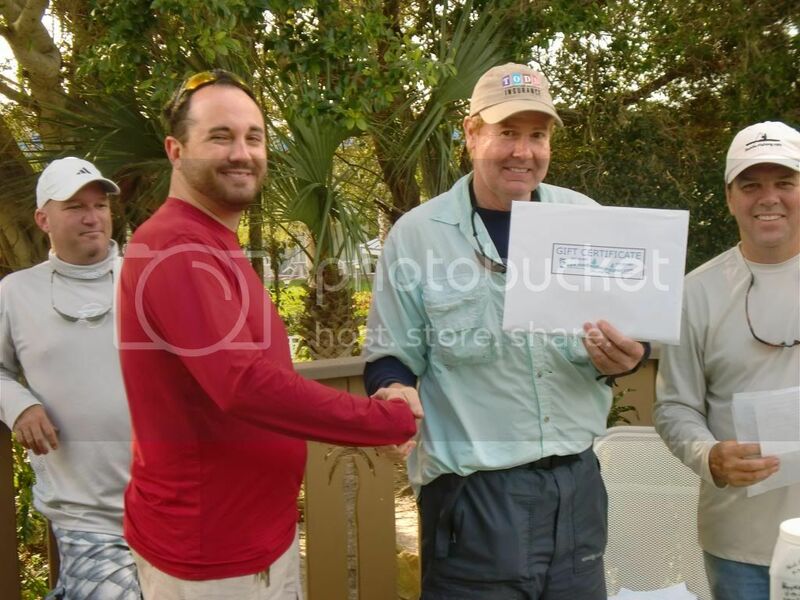 Justin got a gift certificate donated Masthead Enterprises owner Paul “Paul” Silvernail. 5th Place – Bobby “Freshly Salted” Stanley. Bobby entered a trout and a flounder along with the lures bonus. 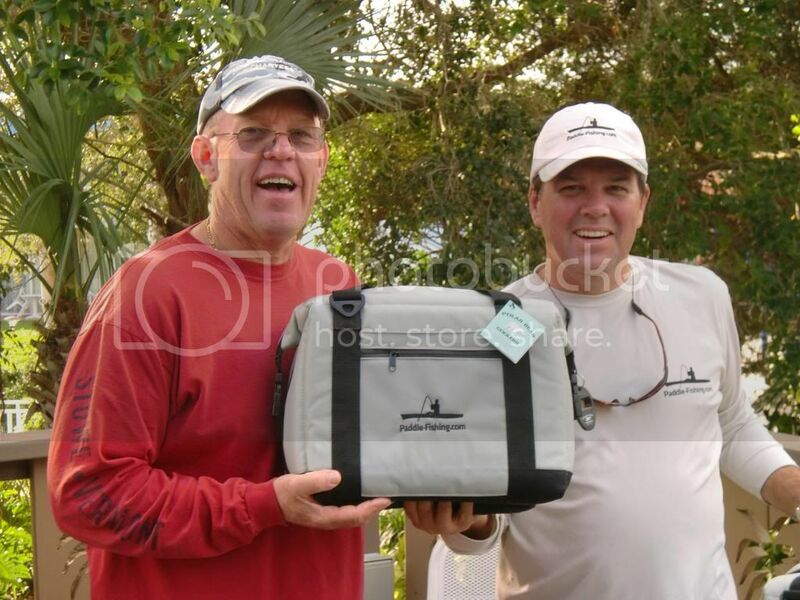 Bobby got Polar Bear cooler donated by MetalFab owner Walt “EZYLYF” Ruda. 6th Place – Dave “Rugrat181” Stewart. Dave entered a trout and a flounder. 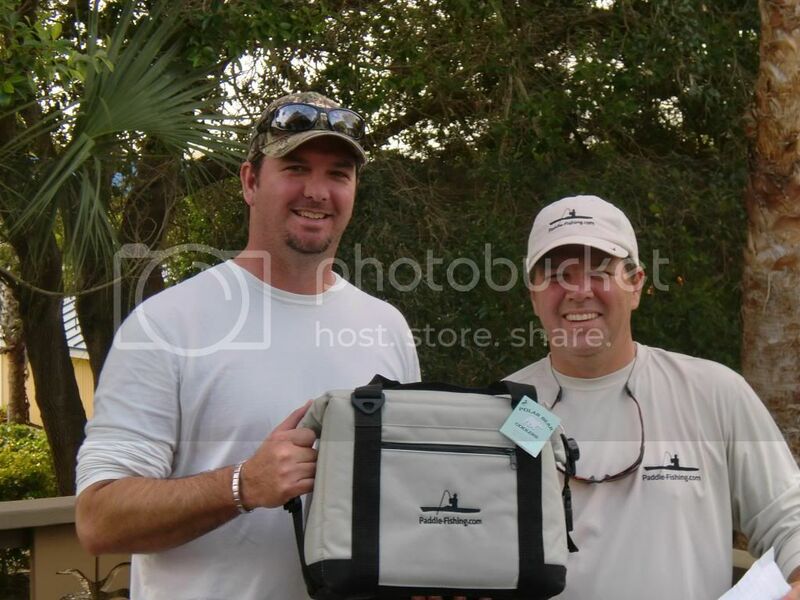 Dave took home a Polar Bear cooler donated by Polar Bear coolers. 7th Place – Brian “Madocian” Arnold. 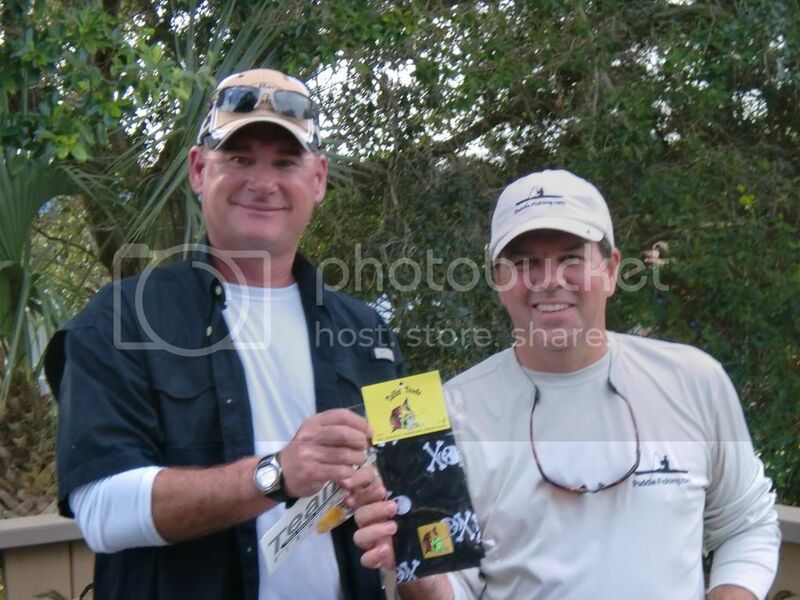 Brian also entered a trout and a flounder and won a pair of Tailin’ Toad gloves. 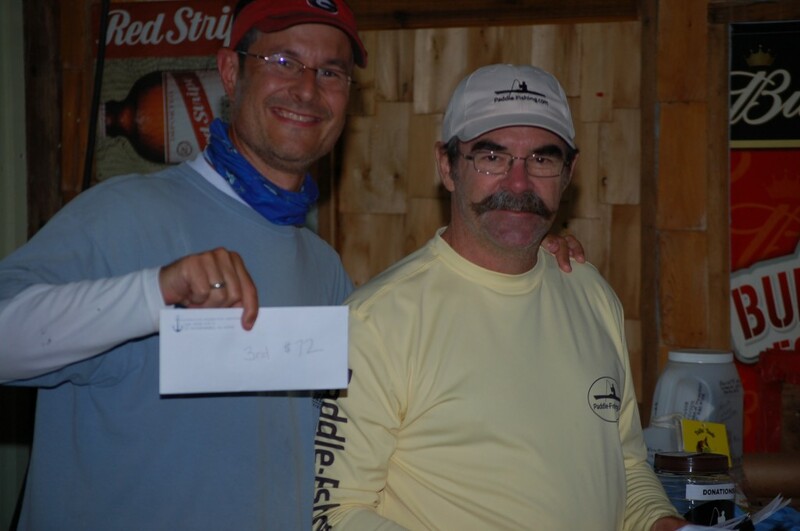 8th Place – Erik “Chasintails” Allison. 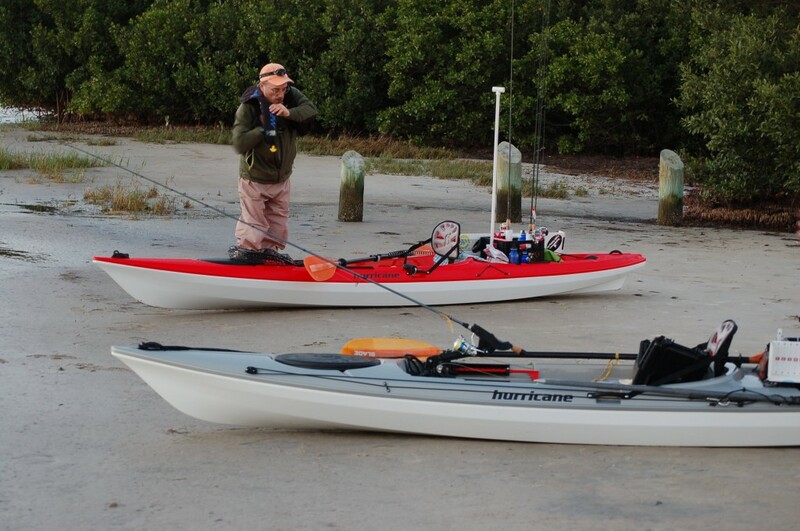 Erik entered a redfish and a ladyfish. 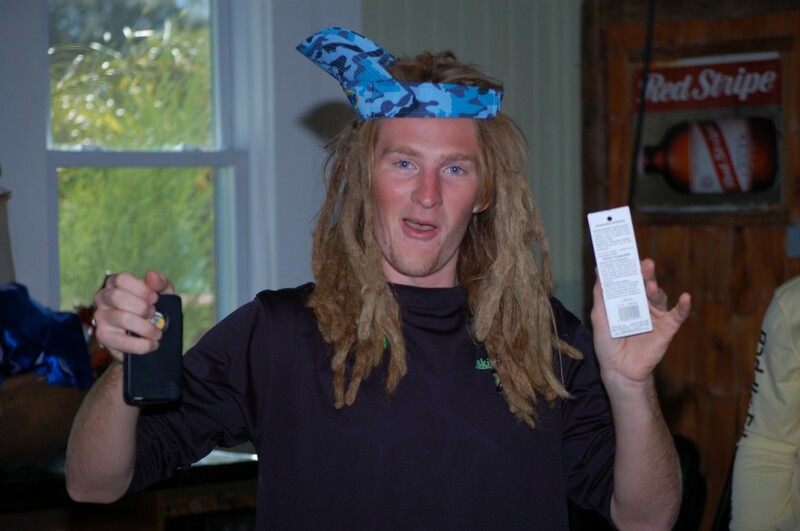 This won him a pair of Tailin’ Toads gloves. 9th Place – Ken “Sparty” Ketchum. Ken entered a trout along with the lures bonus. 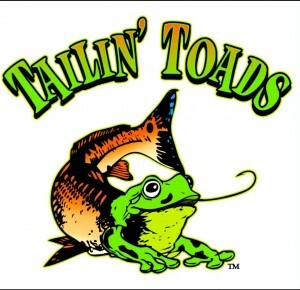 Ken took home a pair of Tailin’ Toads gloves. 10th Place – Olin “olinfins” Satterfield. Olin entered a trout along with the lures bonus. 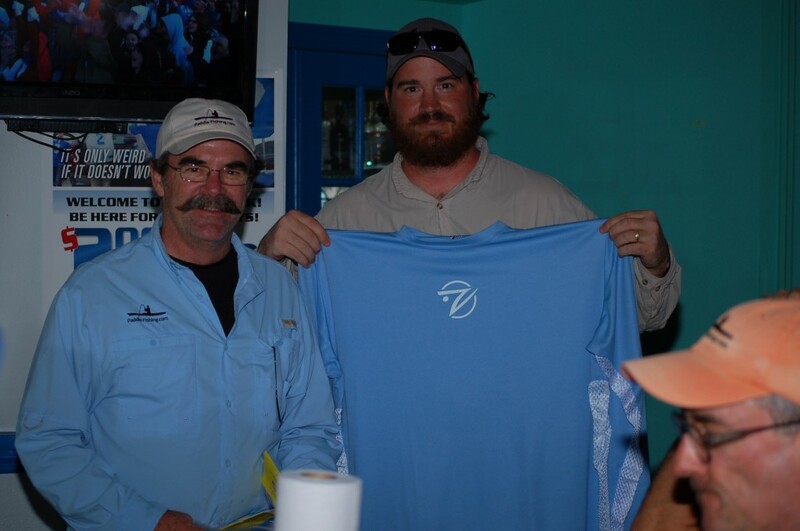 This won Olin a Paddle-Fishing.com shirt. 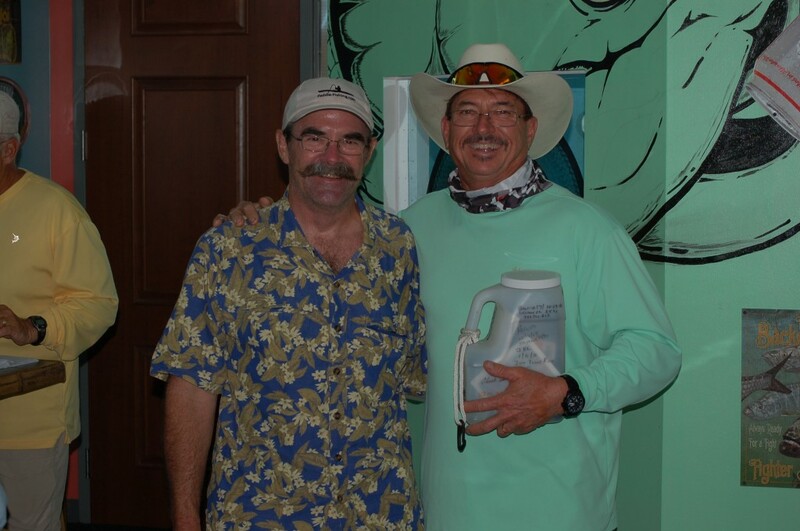 The Perpetual Jug, one of the most sought after prizes in our tournament series, was won by John “jbdba1” Bishop. Since we didn’t measure anything at this event, he won it for extra effort. 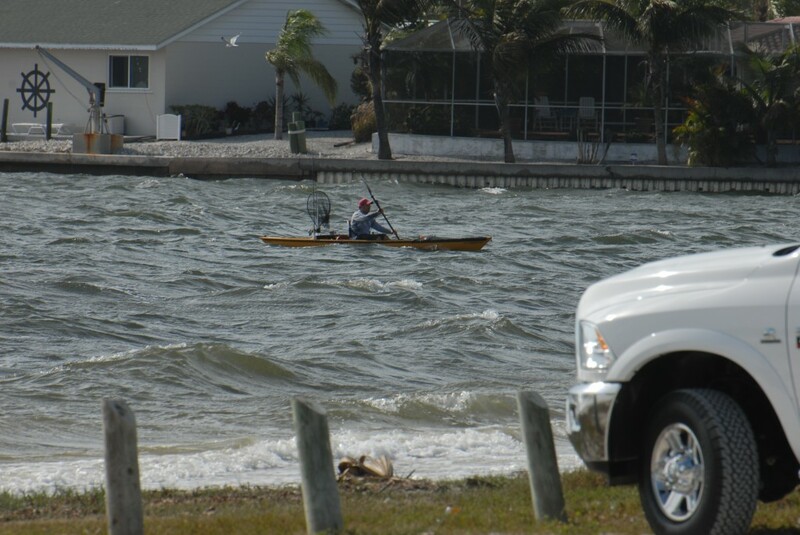 He paddled into the stiff wind all the way out to Tarpon Key. It didn’t result in him catching enough to get in the winners circle so we awarded him with the prestigious Perpetual Jug. We also let John pull the raffle numbers. 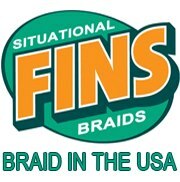 Only the most trusted anglers get this prized duty. Here’s John performing the duties. Here are some shots of the group during the announcement of winners. Todd has done this so many times he can do it with his eyes closed. Once again it was a fun time for all. The date for the next event, PFCS #3, will be announced shortly. We’ll see what we can dream up make the winning format a challenge in the next one. Lots of thanks and appreciation to all of the sponsors! The results are now posted!